Surprise! 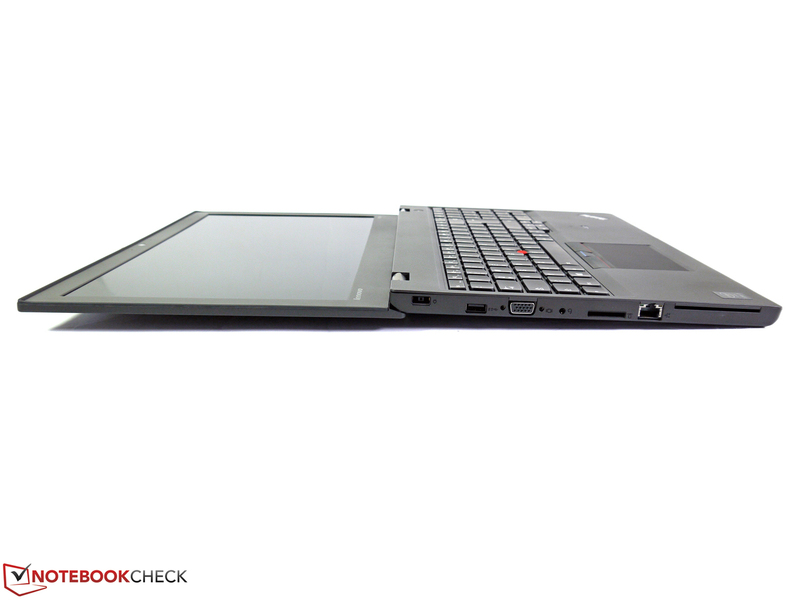 Lenovo expands its W-series with an ultra slim mobile workstation, which can set some new records right away. It benefits from components like the first professional chip from Nvidia's Maxwell generation, a generous battery capacity and many typical business features. 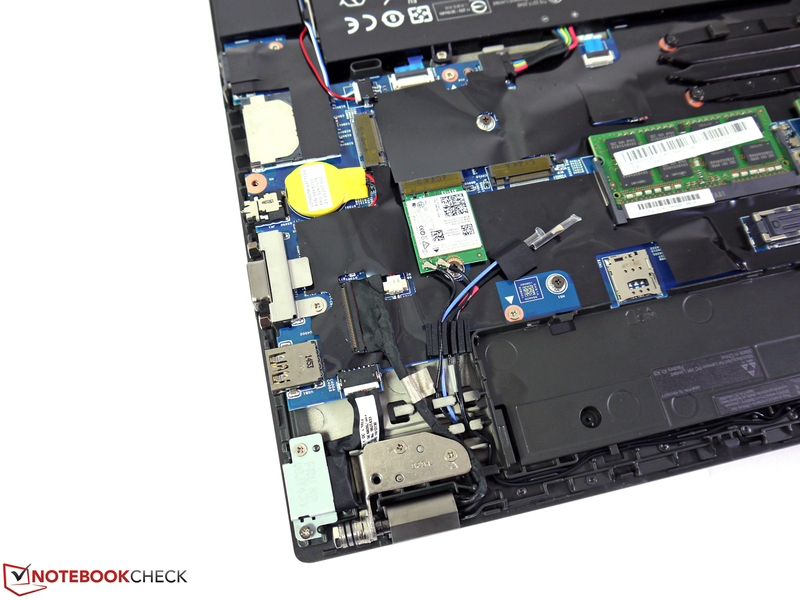 Our review shows you what else we like about this workstation. Following the current slimline trend, there are also more and more mobile workstations with very slim constructions. Stylish, thin and mobile is the motto here and supports the orientation towards mobility. A working device does not necessarily have to be bulky, ugly and in a giant chassis. Some manufacturers will accept a reduced port variety, limited expandability and a reduced performance in return. 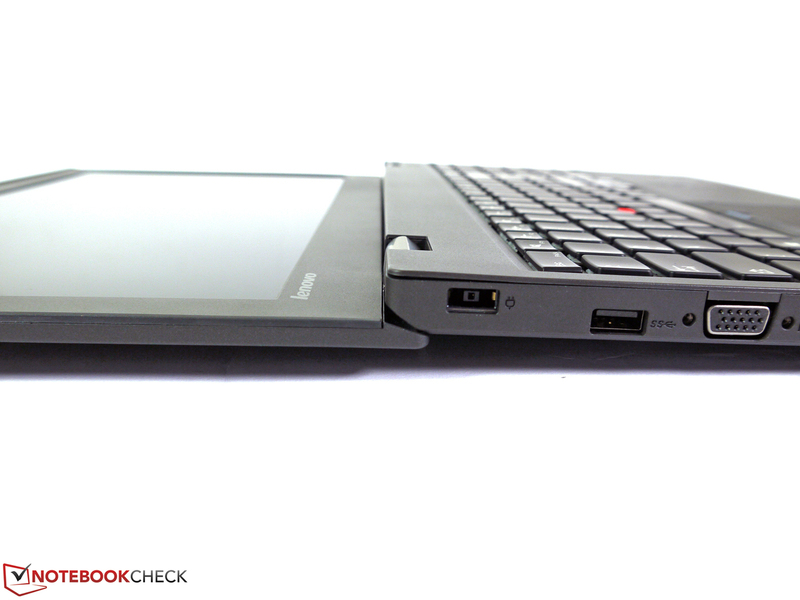 Lenovo wants to show that there is an alternative with the ThinkPad W550s. 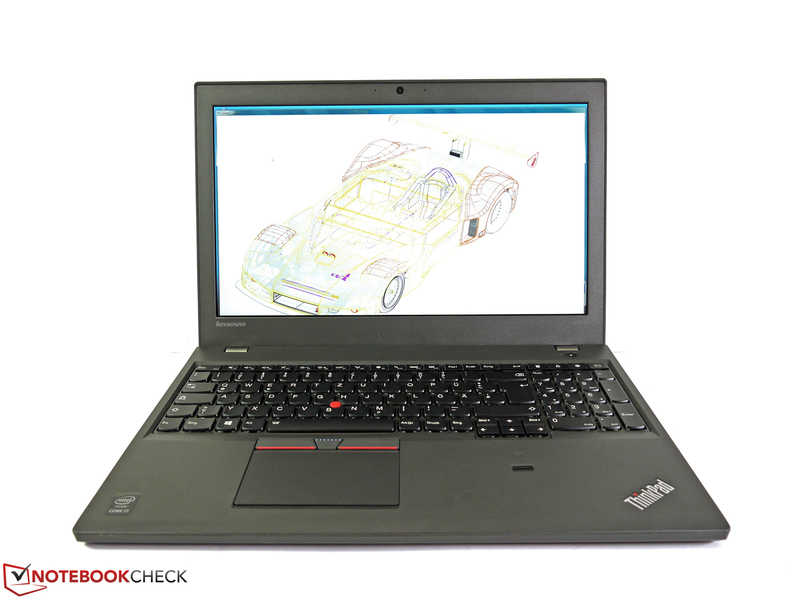 Unlike some rivals, which are based on existing products from the consumer range; it is based on the completely redesigned ThinkPad T550 chassis. As well as the slim exterior, it is consistently designed for business purposes and therefore avoids many pitfalls. 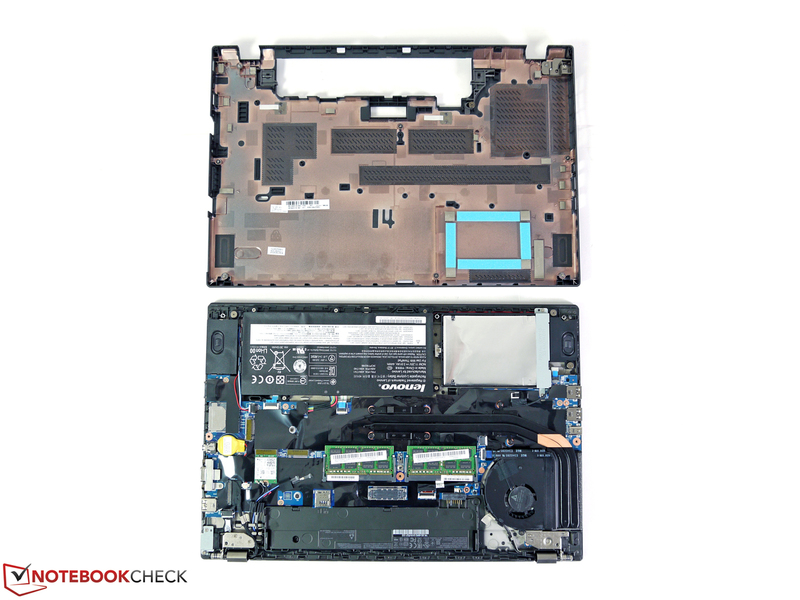 Our review unit is equipped with Intel's Core i7-5500U CPU, the Nvidia Quadro K620M (Maxwell chip), 16 GB of RAM, a 512 GB SSD as well as a 3K IPS display. The price is currently around 2200 Euros (~$2406). 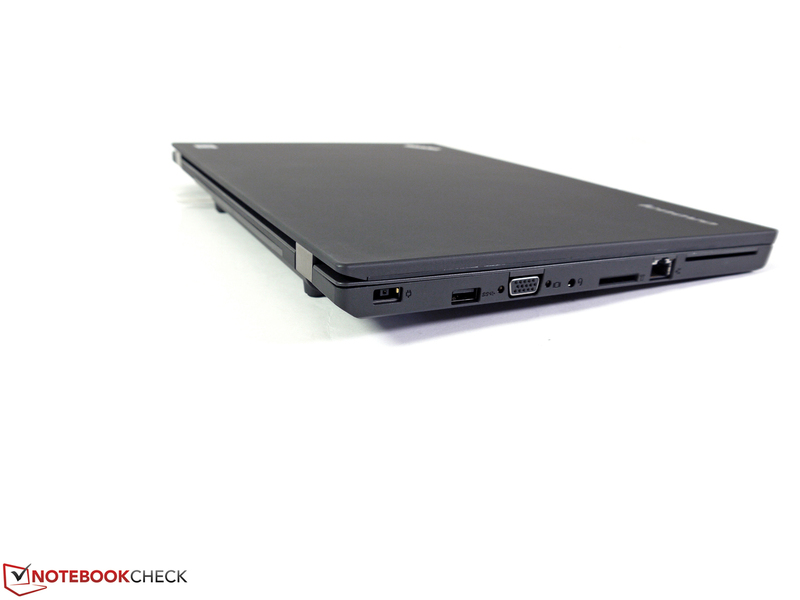 The Lenovo ThinkPad W550s has a slim chassis. The big gap above the power connector should be an isolated case. 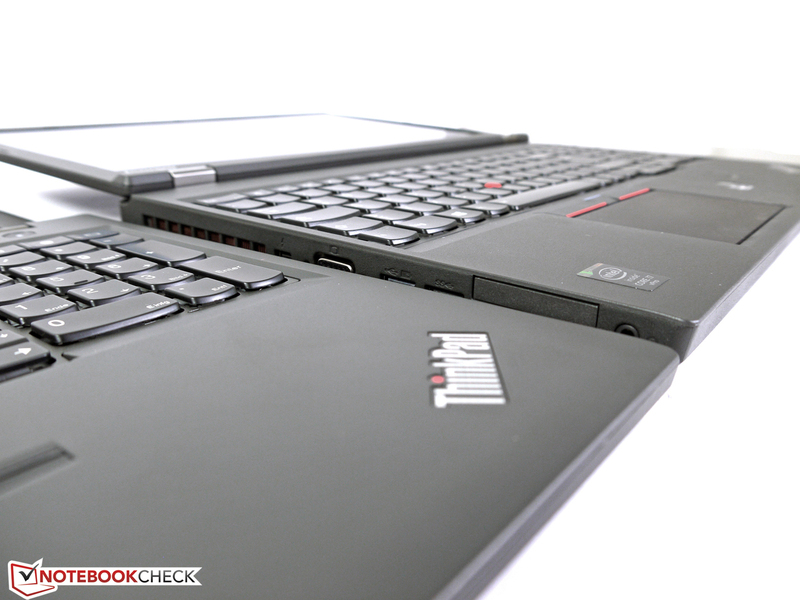 The Lenovo ThinkPad W550s is a big step back towards old ThinkPad qualities. 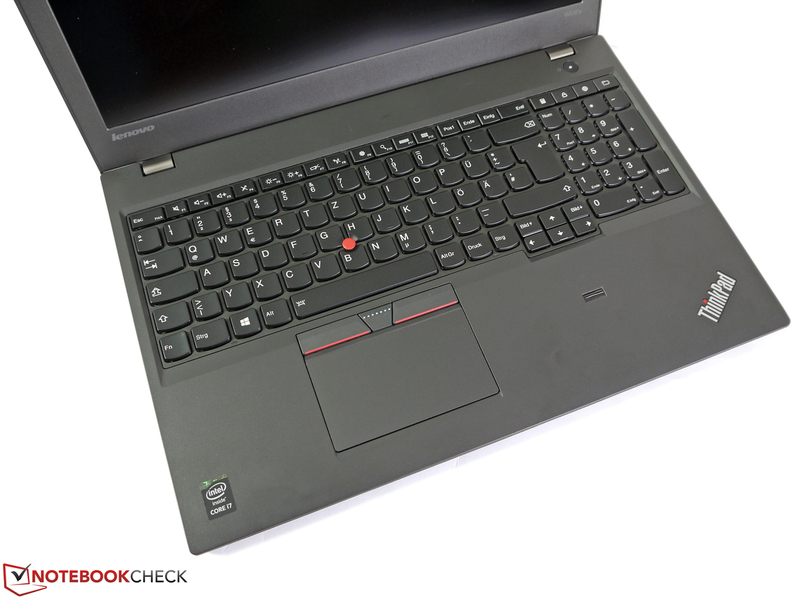 While the ThinkPad W540/W541 left rather mixed feelings, the slimline alternative can now once again meet the good reputation. The chassis leaves a very sturdy impression and can just slightly be deformed at a few spots. This includes the display cover and a thin stripe above the SmartCard reader. 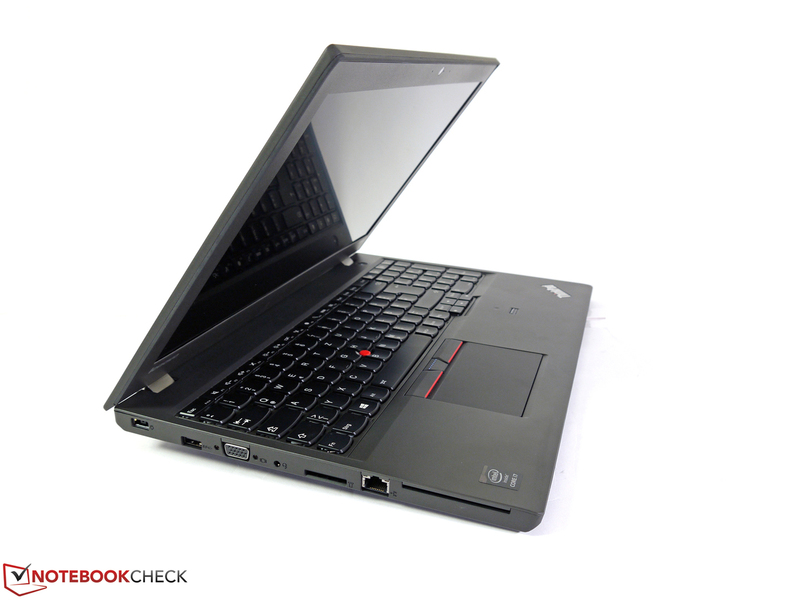 Still, a direct comparison with the recently reviewed Lenovo ThinkPad W541 shows that you will need much more force. Neither the palm rest, the keyboard area, nor the base unit reveal any issues. The overall build quality is generally on a good level. There are some uneven gaps at a few spots and our review unit had a gap right above the power connector. However, this seems to be a peculiar flaw of the review unit. 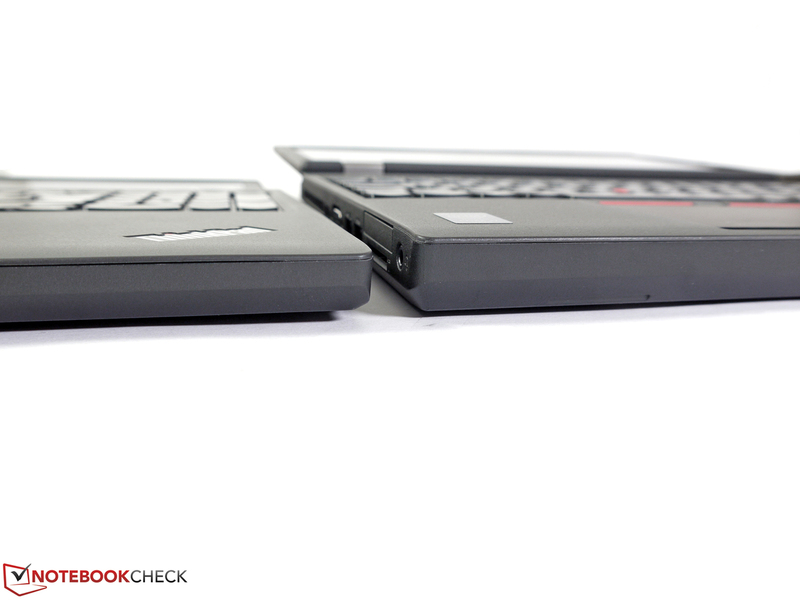 We could not observe this problem in a ThinkPad T550 (same chassis). The bottom consists of a large tray that has to be removed completely before you can access the components. This is actually an important factor for the sturdy construction. Maintenance hatches or other possible parts that could affect the stability are missing. The price for the good torsion resistance is a slightly higher weight. 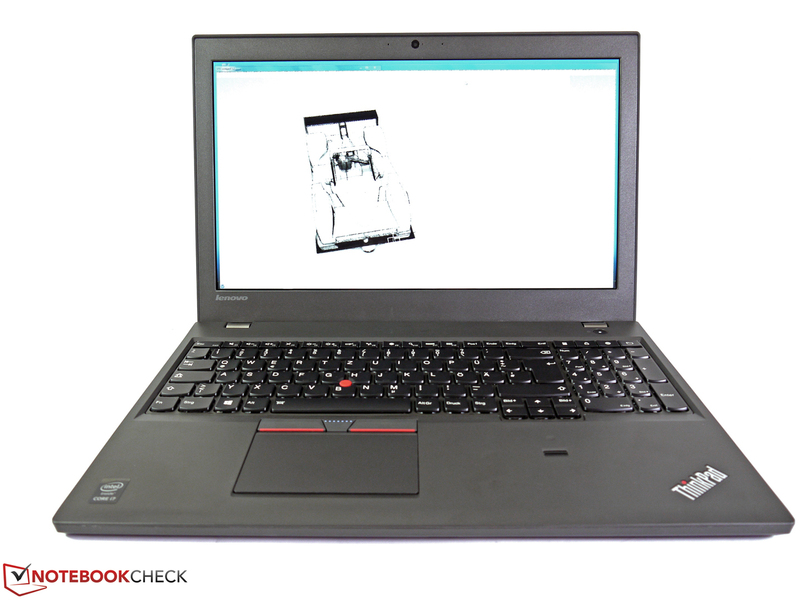 With 2410 grams (~5.3 lb), the Lenovo ThinkPad W550s is around 400 grams (~0.9 lb) heavier than the review configurations of the MSI WS60 and the Dell Precision M3800. However, this difference is just 200 grams (~0.44 lb) when you use the small 23 Wh battery at the back instead of the larger 72 Wh module. Our review unit weighs 2.08 kg (~4.6 lb) without the second battery at the back. As well as the big hole, this will also result in much shorter battery runtimes since you can only use the 44 Wh battery inside the chassis. 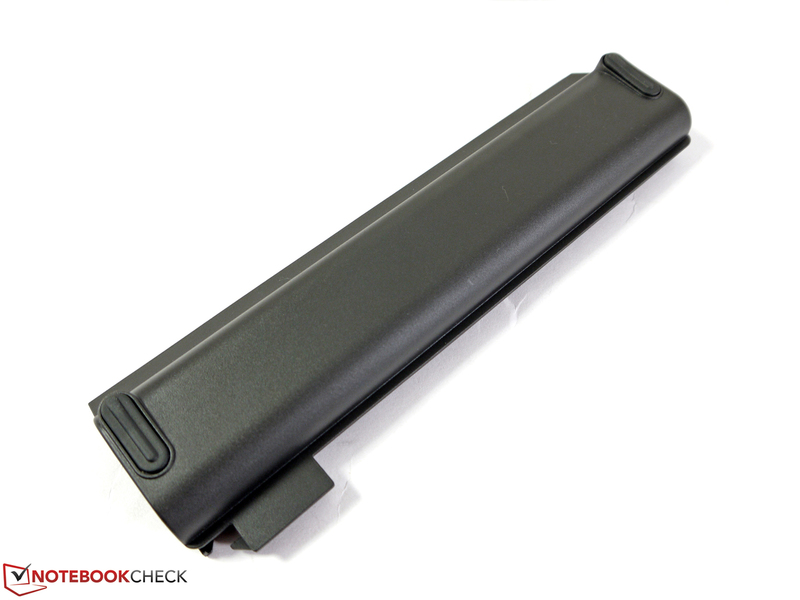 According to our information, Lenovo does not offer any kind of dummy module. 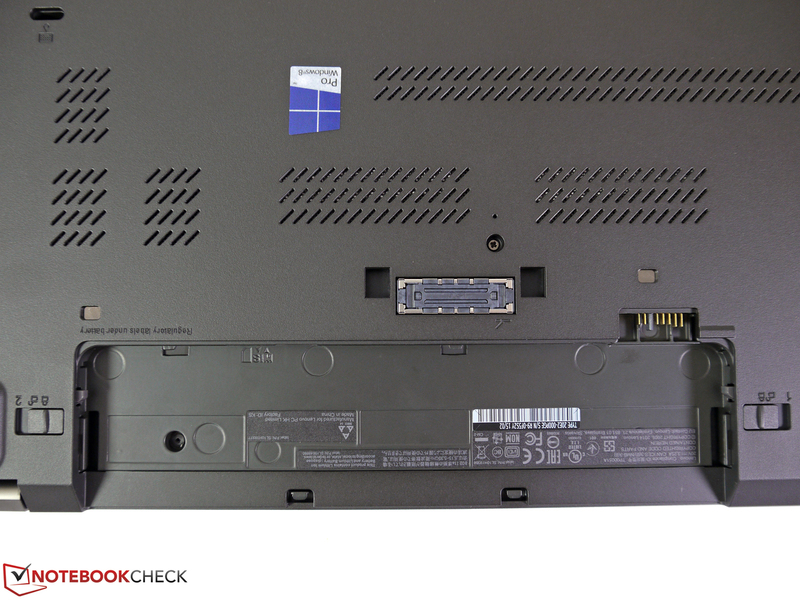 Despite its slim construction, we can find all the important ports in the chassis. 3 x USB 3.0, Mini-DisplayPort, VGA and a card reader cover the most important areas. 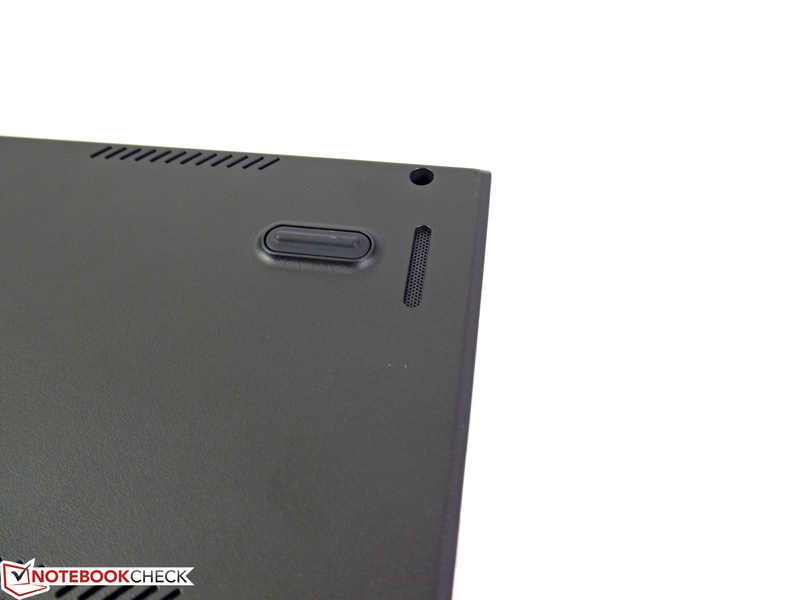 The ThinkPad W550s also has a real docking port at the bottom, so you can attach many peripherals in combination with a docking station when you use the notebook on your desk. The rest of the port layout is obviously affected by the slim base unit. The space between the ports could be somewhat larger so that attached cables, adaptors and expansions do not block adjacent ports. We do not really know why the Ethernet port is located that far in the front. We were able to measure good transfer rates. We managed around 300 MB/s (read) and 330 MB/s (write) via USB 3.0 in combination with a Samsung T1 SSD. The card reader is quite fast with a read performance of 83 MB/s (Toshiba Exceira Pro UHS-II, 16 GB) and 56 MB/s for write operations, but does not reach the performance of the card reader in the ThinkPad W541 because of the missing UHS-II support. Our review unit is equipped with Intel's Dual Band Wireless-AC 7265 WLAN module. It supports 2.4 and 5 GHz networks, has two antennas and reaches theoretical transfer rates of up to 867 Mbps. Bluetooth 4.0 is already integrated. Other supported features are Intel's Wireless Display technology and Intel's Hotspot Assistant. We were able to measure transfer rates of 3.1 MB/s up to 18.25 MB/s in combination with a Fritz!Box 7490 depending on the distance, but our individual setup environment should only be an indicator. We had no problems with connection drops or other anomalies during the review period. The communication features are rounded off with Gigabit-Ethernet, a dual-array microphone as well as a 720p webcam. The camera is sufficient for well-lit rooms, but the pictures will suffer from signal noise in darker environments, which will affect the quality significantly. However, the quality is decent for video calls in normal environments. Other WLAN and WWAN modules (all M.2) are available. The integration of a WWAN card (HSPA+ or LTE) after the purchase is not a problem since all the necessary antennas are already integrated. Fingerprint reader, SmartCard reader and a Trusted Platform Module (TPM 1.2) and the usual password and software protections are typical for a business device. A Kensington Lock preparation is obviously available to protect the notebooks against physical thefts with the corresponding cable lock. This theft protection will probably be especially useful at expos, lecture rooms or meeting rooms. One important aspect of expensive business notebooks is the comprehensive list of dedicated accessories. Docking stations, batteries and modular drive bays for some devices are typical expansion possibilities. 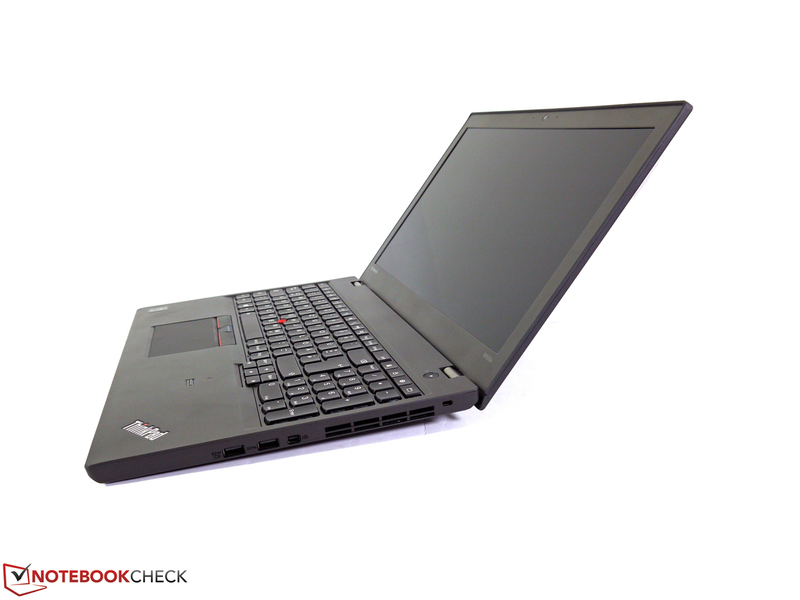 Lenovo is traditionally well-prepared in this area and offers interesting products. 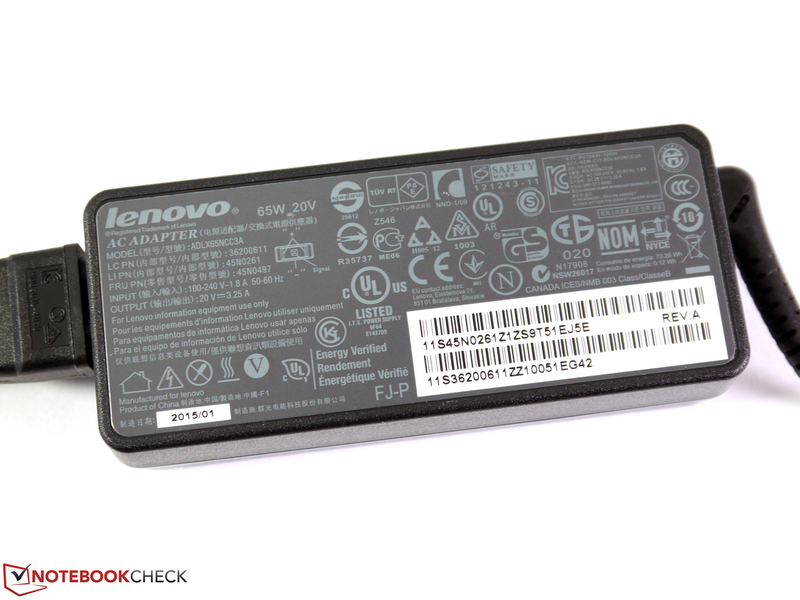 Lenovo lists three different batteries for the W550s, which can be changed during operation thanks to Lenovo's Power Bridge technology. In addition to the supplied 72 Wh battery of our review unit, you can also get a 44 Wh module as well as a 23 Wh battery that is flush with the chassis. Docking stations are a good solution if you want to use the notebook on your desk to simplify the attachment of peripherals. 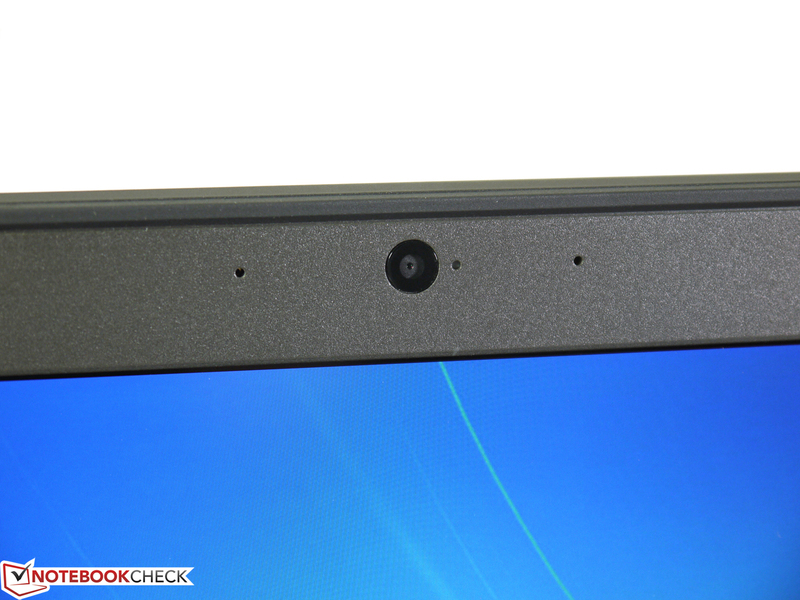 For example, Lenovo's ThinkPad Ultra docking station (40A20170EU) has 4 display ports including DVI and VGA. 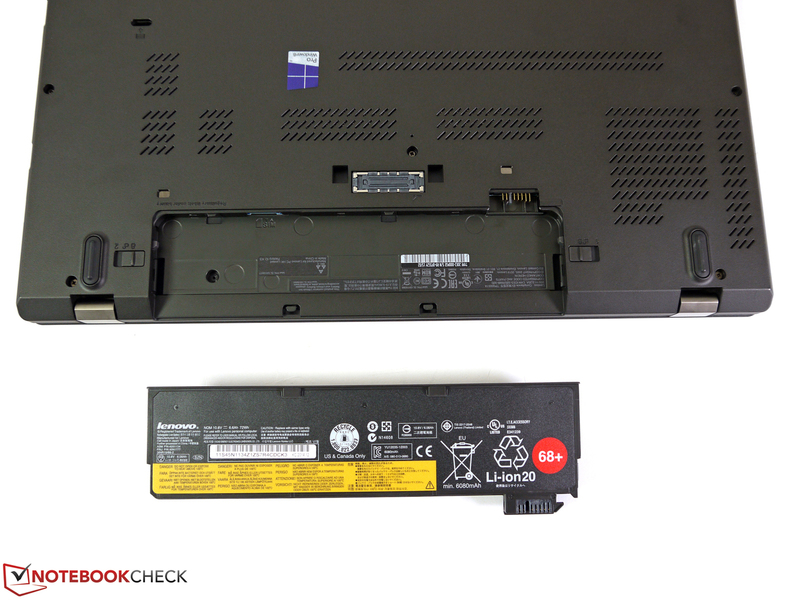 The Lenovo ThinkPad W550s does not have traditional maintenance hatches, but the expandability and maintainability are still good. The screwed bottom cover can be removed in a few minutes that gives access to all the major components. RAM, storage solution, wireless module, M.2 SSD or the fan can be reached easily. 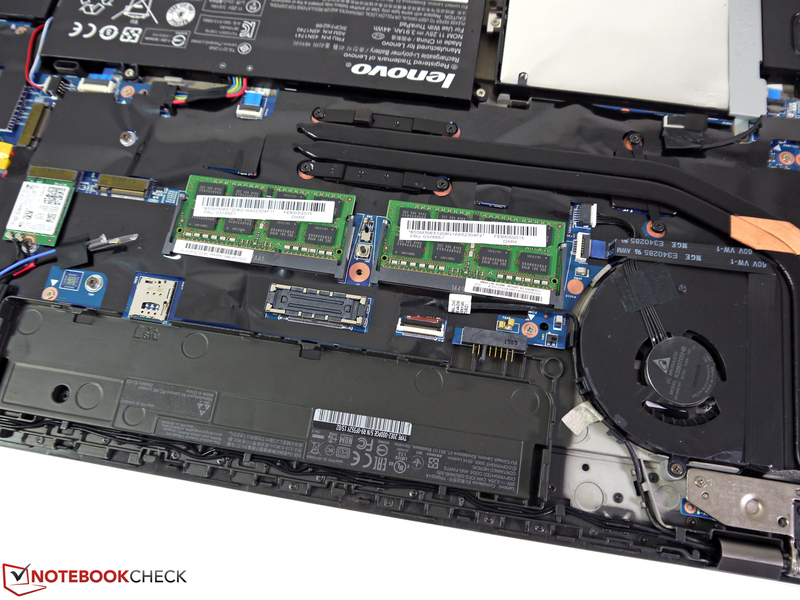 As usual, Lenovo's Hardware Maintenance Manual for the ThinkPad T550/W550s explains which components can be replaced by the user and a step-by-step guide. The models from the current T/W-series do not offer an optical drive or a modular drive bay. Lenovo offers a warranty period of 36 months for its W-series, which is quite the standard for business devices and workstations. No less important are several options to purchase additional services and warranty extensions. An extension of the basic protection to a 5-year on-site service (5WS0A22893) is currently available for around 170 Euros (~$186), and a 4-year on-site service on the next business days + accident protection + 3-year sealed battery (5PS0H20182) costs almost 280 Euros (~$306). 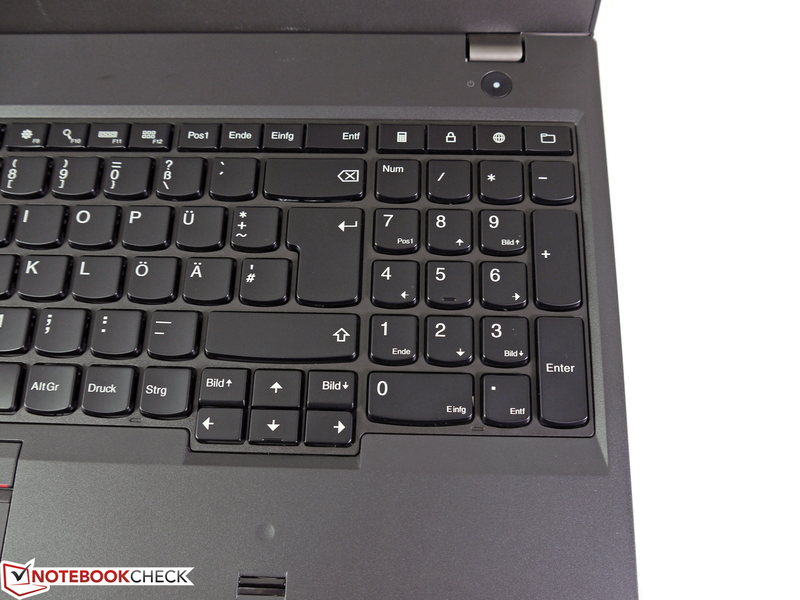 The chiclet-style keyboard is impressive with a good pressure point, large keys and a stroke that is not too loud. The keys have a spacing of 19 mm (~0.75 in) and the size is very functional. The arrow keys are also larger compared to many rivals and can be used very comfortably. Only the gap between the two vertical arrow keys could be slightly larger. 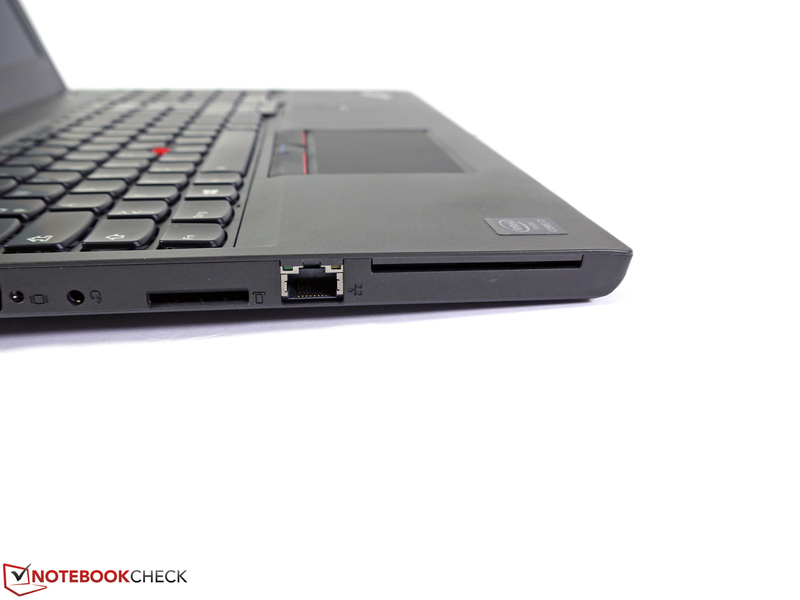 The keyboard sits firmly in the chassis and provides a good feedback. The separate numeric keypad makes it easy to enter large rows of numbers, but also results in an asymmetrical positioning of the touchpad. The F-keys area includes additional multimedia and special buttons that enable useful features without the Fn key. 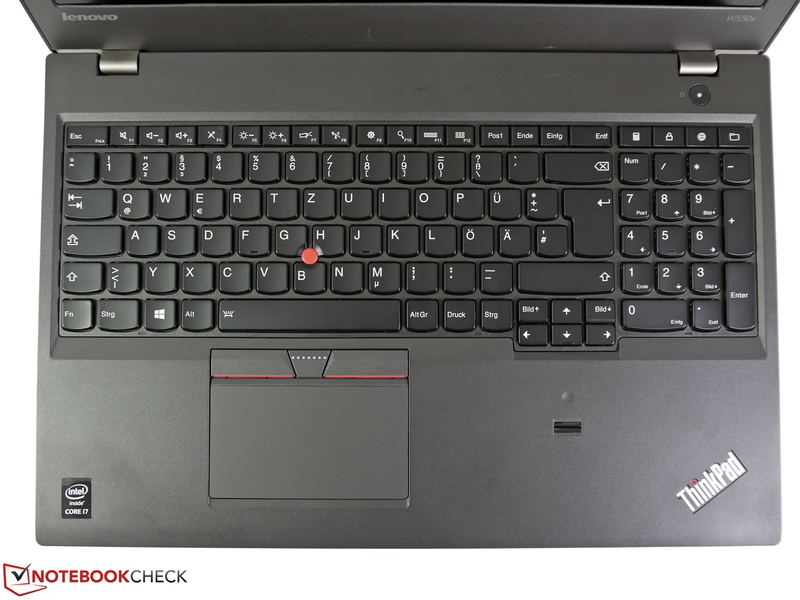 Traditionally the latter is switched with the Ctrl key in ThinkPads, but this can be changed in the BIOS. 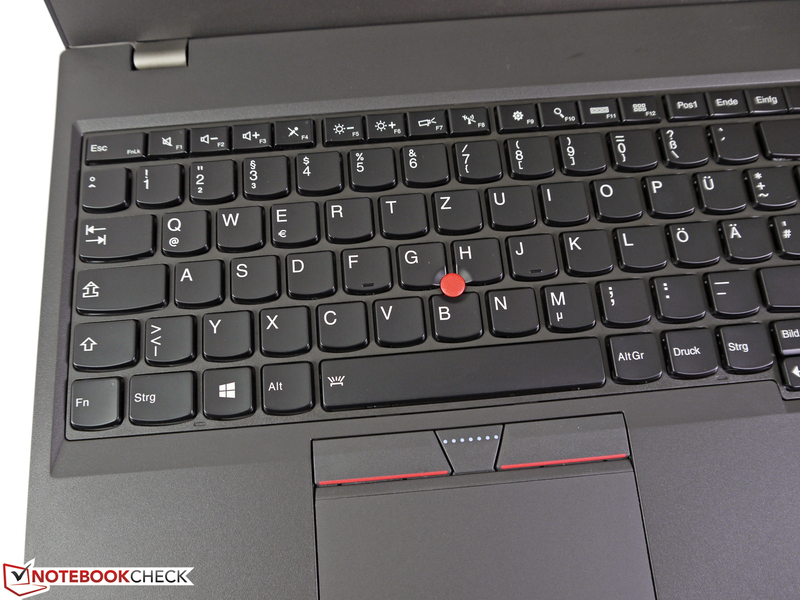 The size of the touchpad surface has reduced, but unlike the ThinkPad model of the previous year, the TrackPoint now once again has dedicated buttons. This improves the handling, and the general usability of the well-working red dot is back to the familiar levels. It is also possible to assign the buttons with alternative functions. 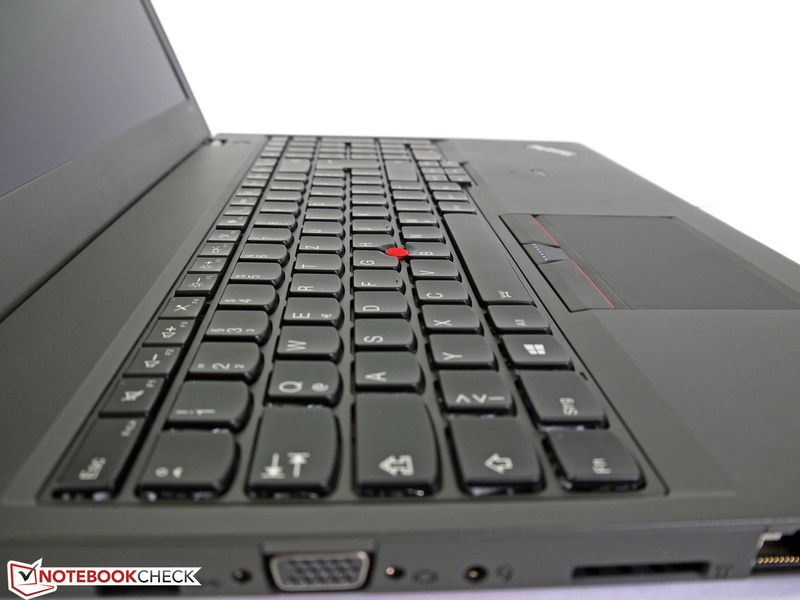 Controlling the cursor with the TrackPoint is precise and smooth. The touchpad itself is now slightly smaller with 100 x 56 millimeters (~4 x 2.2 in). This has a small negative effect on multi-touch gestures since there are 20 millimeters (~0.8 in) less room for vertical movements. The input surface provides good gliding capabilities and inputs are executed immediately. With an alternative configuration (right mouse button via 2-finger tip), you can also avoid the ClickPad buttons on the front edge. This is recommended since a hardware click is not always recognized in the center. The 3K IPS display in the review unit is familiar. 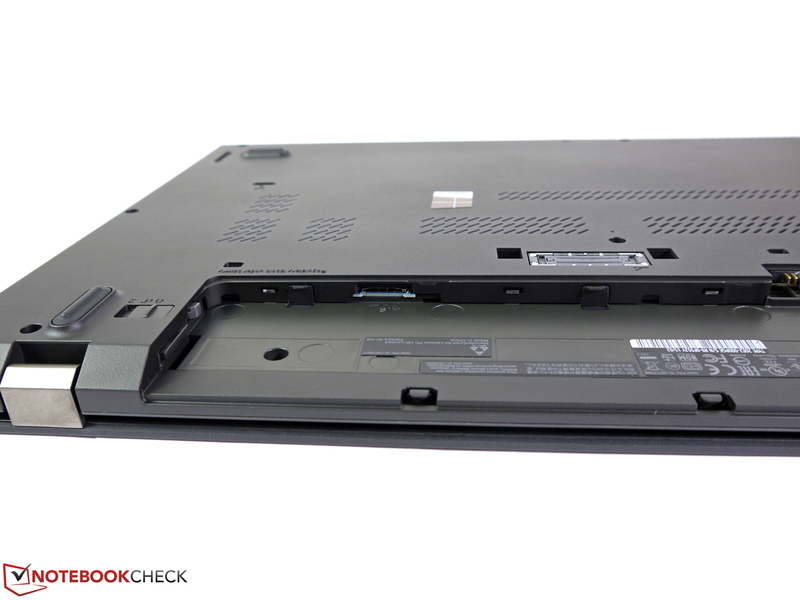 We have already seen this panel in the ThinkPad W540 and recently in the ThinkPad W541. Lenovo also offers a Full HD display as an alternative, which has the same specifications (no IPS) of the panel that we evaluated in the review update of the ThinkPad W540. Once again, the 3K IPS display delivers good results and is our clear favorite for ThinkPads from the W and T-series. The brightness reaches up to 360 cd/m² in the center of the screen and the measured contrast is good with 667:1. 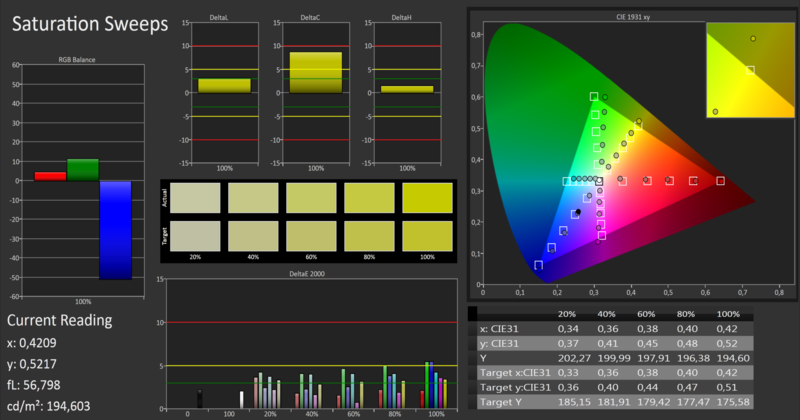 The display brightness can be adjusted in 15 steps; we measured a minimum value of 4 cd/m² and 156 cd/m² in setting 12. 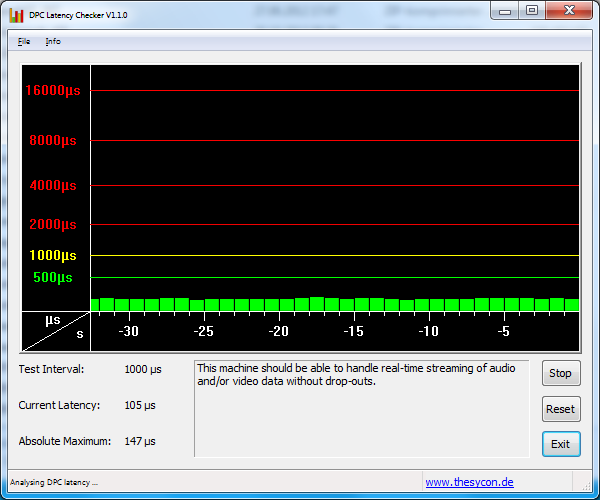 We also use the latter setting for our WLAN and video battery tests. 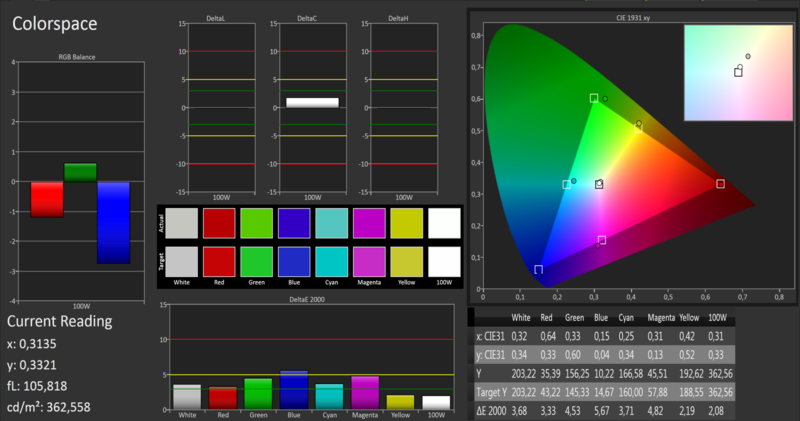 The sRGB color space is covered by 86% (Correction 20.5.2015 due to a wrong sRGB-reference-profile) and the colors are already quite accurate for factory settings, there are just some exceptions with a DeltaE 2000 value over 5. This means you can work with a relatively accurate panel out of the box. However, this does not replace a calibration, which is common for professional devices, and should be done right away. 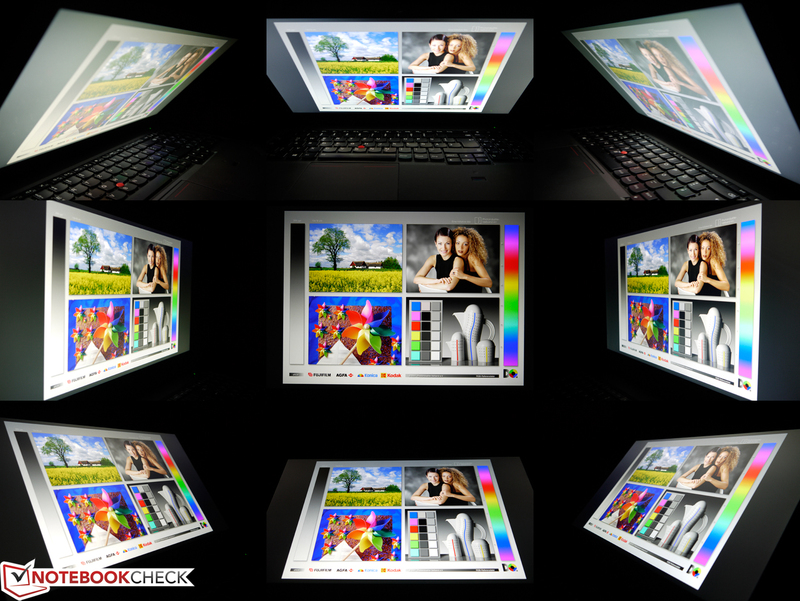 The viewing angle stability is generally very good and we can only see small color and brightness changes. 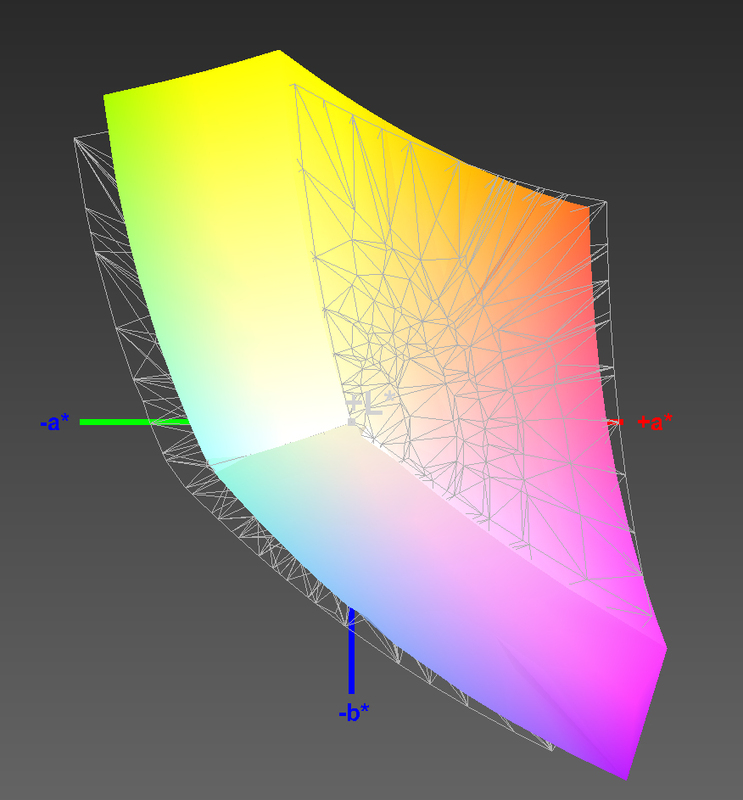 If anything, you can only see diffuse reflections from light sources depending on the ambient light. Depending on the angle, these can affect the picture slightly. This effect is enhanced in the viewing angle picture where the panel is slightly angled to the front. However, this is not that obvious in practice. 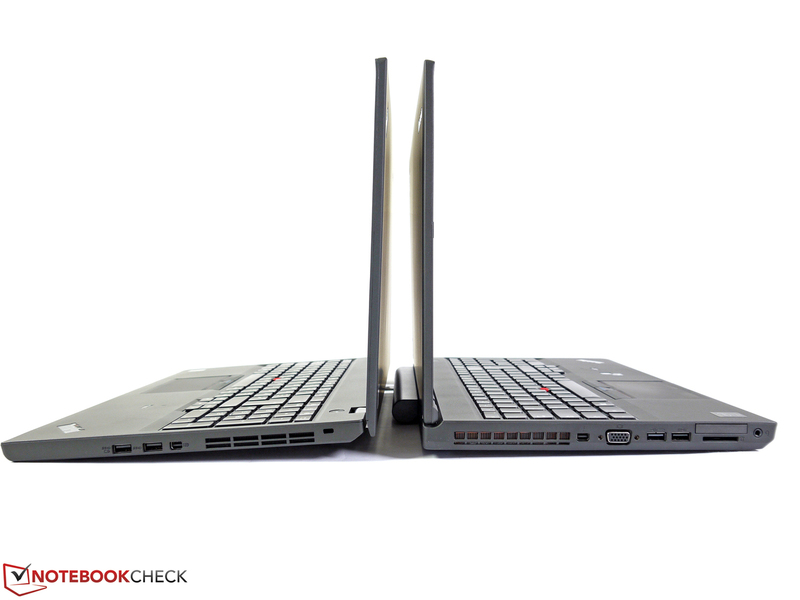 You can no longer get conventional CPUs with the new thin slimline chassis used in the T-series. 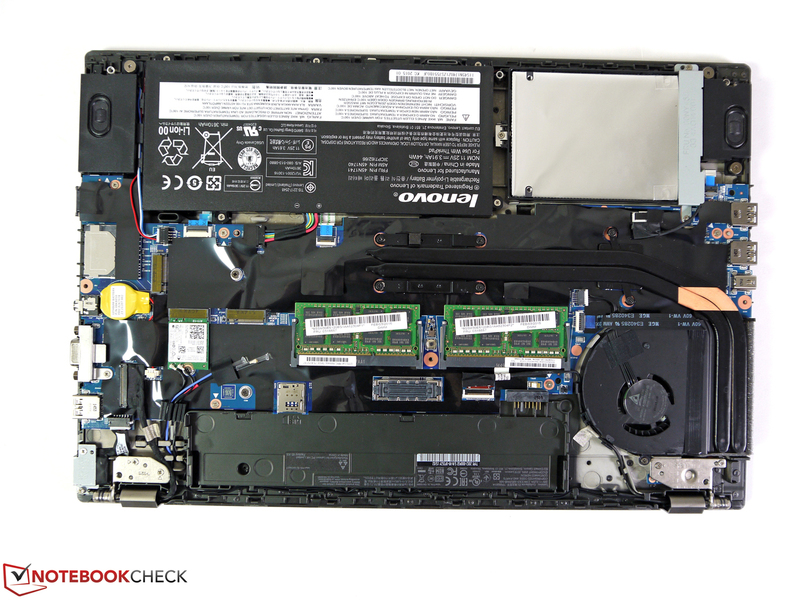 Lenovo's Product Specifications Reference (PSREF) for the ThinkPad W550s only lists ULV CPUs that have a Thermal Design Power of up to 15 watts. Otherwise, you can order up to 16 GB of memory (officially), conventional hard drives and modern SSDs as well as the Nvidia Quadro K620M/Intel HD Graphics 5500 GPU combination, which is always integrated. The W550s was clearly designed with mobility in mind and not the highest possible performance. 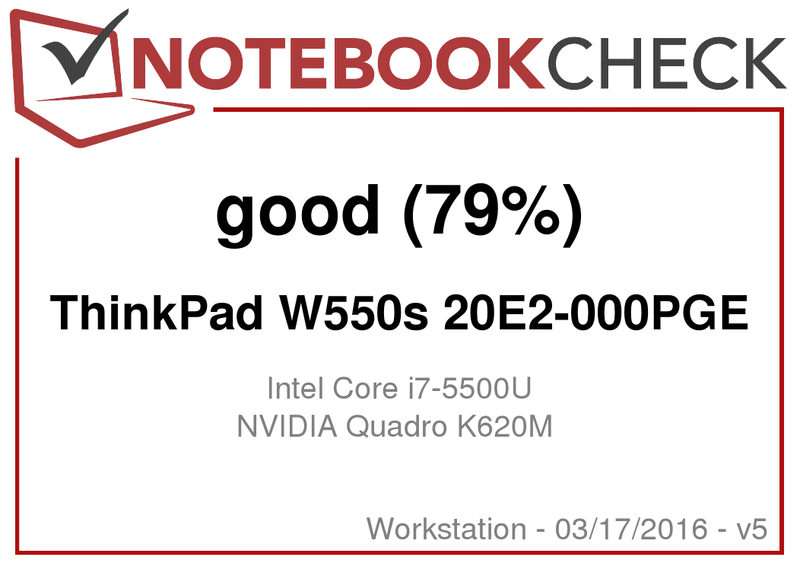 We can test the Intel Core i7-5500U, which is one of the three Broadwell CPUs that are available for the ThinkPad W550s. It represents the medium solution in terms of performance, the smaller model is the i5-5300U and the faster chip is the i7-5600U. The two processor cores of the test CPU can execute up to four threads simultaneously and raise the nominal frequency of 2.4 GHz up to 3.0 GHz via Turbo Boost. As expected, the raw CPU benchmark results are rather mediocre compared to other mobile workstations, which are usually equipped with quad-core CPUs. Compared to the "bread and butter" processor in the workstation segment, the Intel Core i7-4710MQ, the single-core performance is actually competitive with a deficit of just 10%, but it falls behind by around 50% in multi-core scenarios. It will depend on the actual software usage of the user and whether tasks can be handled by the efficient GPGPU computing. Both Intel's Quick Sync Video and Nvidia's CUDA can significantly reduce the CPU load during conversion, picture filters or compressions. If this is not possible due to missing software support, you can hardly compensate the comparatively weak CPU performance. This will result in longer waiting times and less headroom for parallel tasks. For example, Cinebench R11.5 64-bit determines for our dual-core Intel Core i7-5500U 1.42 points in the single-core test (Core i7-4710MQ: 1.54 Points) and 2.85 points in the multi-core test (Core i7-4710MQ: 6.87 points). More comparisons are available in our CPU benchmark list. The CPU performance is even lower on battery power, where the Cinebench R11.5 64-bit multi-core test can only determine 1.68 points. Sustained maximum load of the CPU and the Nvidia Quadro K620M will result in 2.4 GHz at the start, but the clock then drops to 1.9 GHz after a few minutes and is even occasionally reduced to 800 MHz. The reasons for this behavior are the Thermal Design Power limit, reaching certain temperatures, and the Nvidia GPU that can maintain its maximum clock. 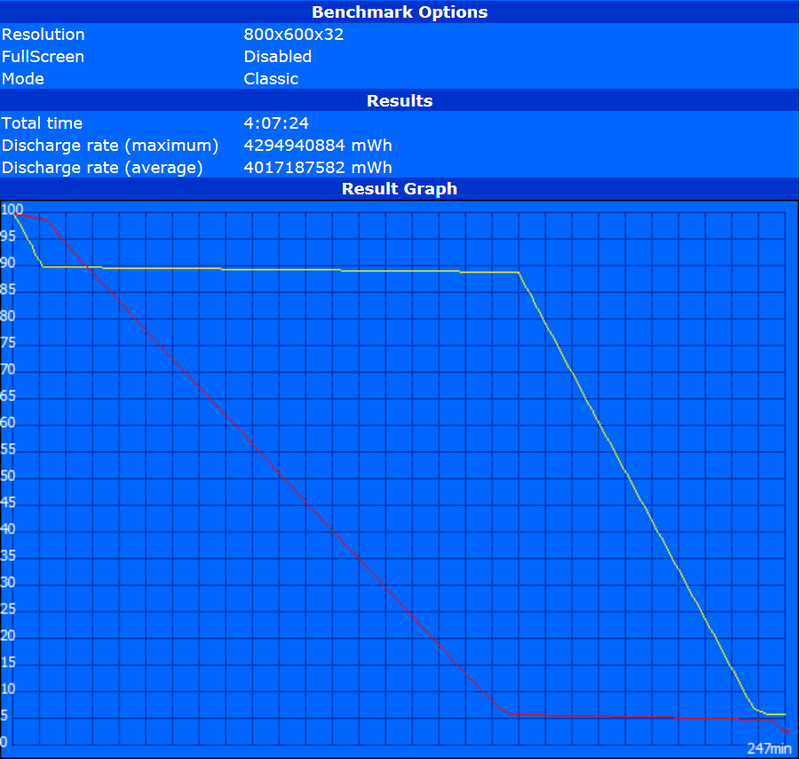 The power consumption also fluctuates correspondingly between 54.5 watts, 48.9 watts and 37.7 watts. The system performance is usually sufficient for many scenarios. Thanks to the solid-state drive, 16 GB of RAM and the dedicated Nvidia Quadro K620M you get quite a balanced configuration. Depending on the task and software, the dual-core, which is not very stable under load, can reduce the performance and is actually the bottleneck of the mobile workstation. This drawback is not that noticeable during regular tasks with normal CPU load and in the system benchmarks. PCMark 8 Creative determines 2897 points and 4323 points in the Work test. The Fujitsu Celsius H730 with the Intel Core i7-4710MQ and the Nvidia Quadro K1100M is even slightly worse in the Work test with 4254 points. The memory is officially limited to 16 GB, but you can use a total of 32 GB with two 16 GB modules from Intelligent Memory. 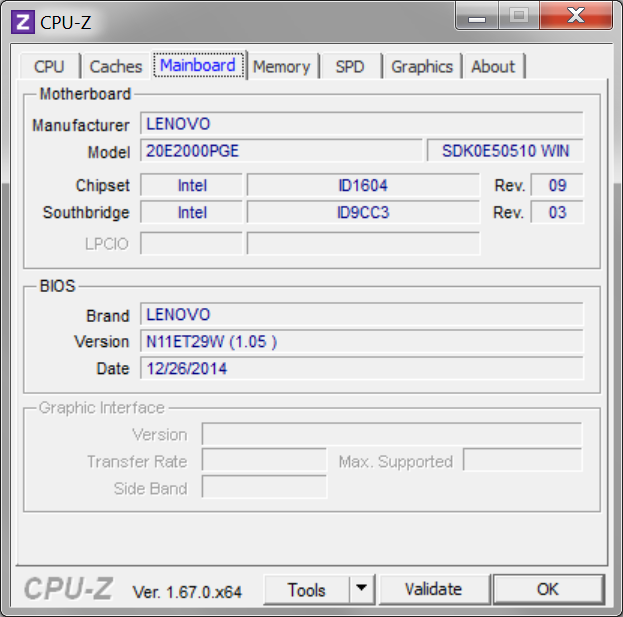 This only works with current Broadwell CPUs and AMD chips that support it. Our review unit had no problems with the modules, we ran a 15-minute stress test and it worked well. 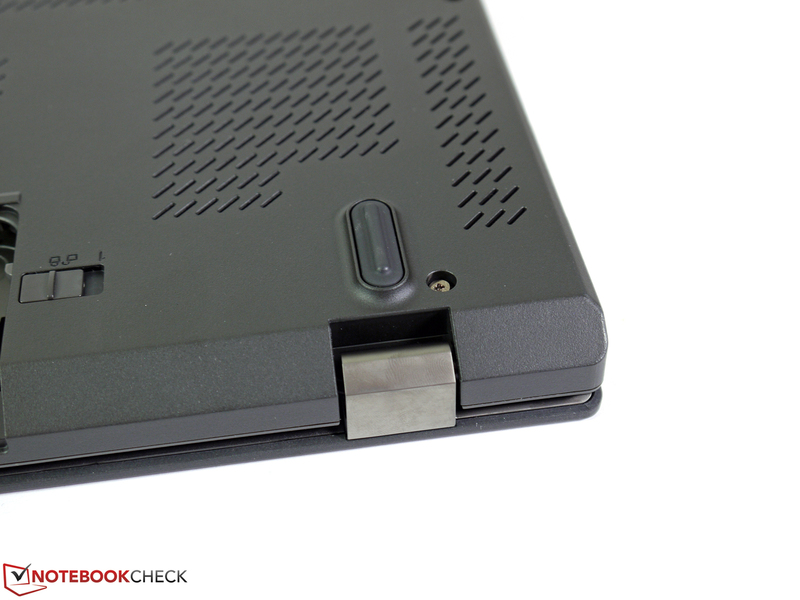 Our Lenovo ThinkPad W5502 still uses a 2.5-inch SSD, even though it already has a modern M.2 slot. This results in a moderate initial pricing with the possibility to upgrade later. At the same time, the Samsung drive has a generous capacity of 512 GB (gross) and the user can use around 411 GB ex-works. This is a lot of space for the system, applications and files, and you also get the internal upgradeability via the M.2. 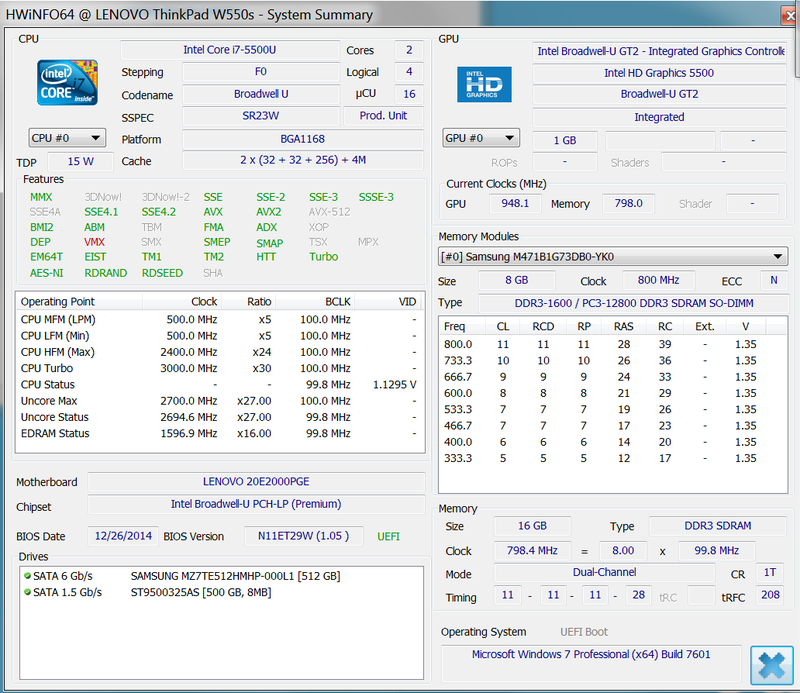 On the other hand, the performance figures of the SATA-III drive are not overwhelming. 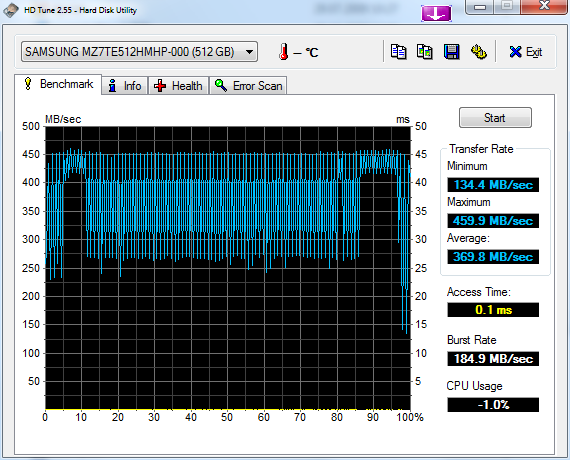 While the important read performance reaches more than 500 MB/s, we can see much lower write speeds of around 200 MB/s. However, thanks to the short access times and the pretty good 4K results, you will not really notice this issue in practice. 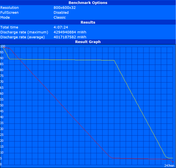 More comprehensive comparisons are available in our SSD/HDD benchmark list. Currently, Nvidia's Maxwell generation is creating some negative news regarding the overclocking restrictions, but this model generation is actually a big success. The Nvidia Quadro K620M in our review unit is the first professional chip that we have reviewed and offers much more performance compared to the predecessor Nvidia Quadro K610M. The technical specifications suggest that the Nvidia Quadro K620M is a lower-mainstream chip and is very similar to the Nvidia Geforce 840M. 384 shader units, a 64-bit memory interface and 2 GB DDR3 video memory are the specs of the professional entry-level solution. The core clock is 1029 MHz and can be raised up to 1124 MHz via Turbo 2.0, which should also be the reason for the slightly better results in a direct comparison with the Nvidia Geforce 840M. The main advantage is not the raw performance increase, but rather the lowered power and cooling requirements. 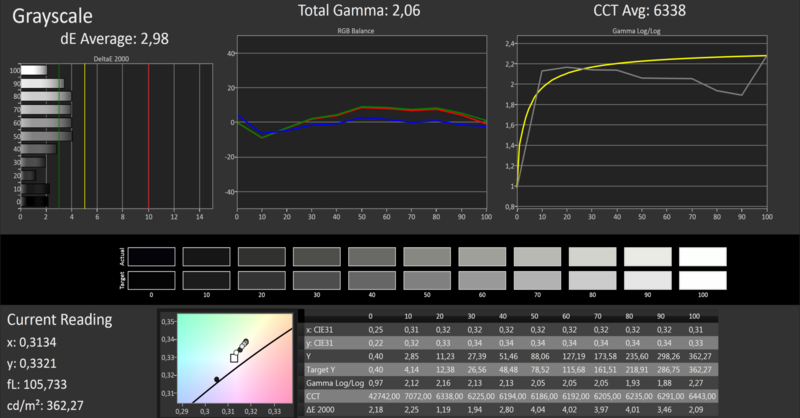 We like the test results of the raw graphics performance. Even though the rather weak CPU is probably a limiting factor, the benchmark results can actually keep up with the Nvidia Quadro K2100M in some scenarios. 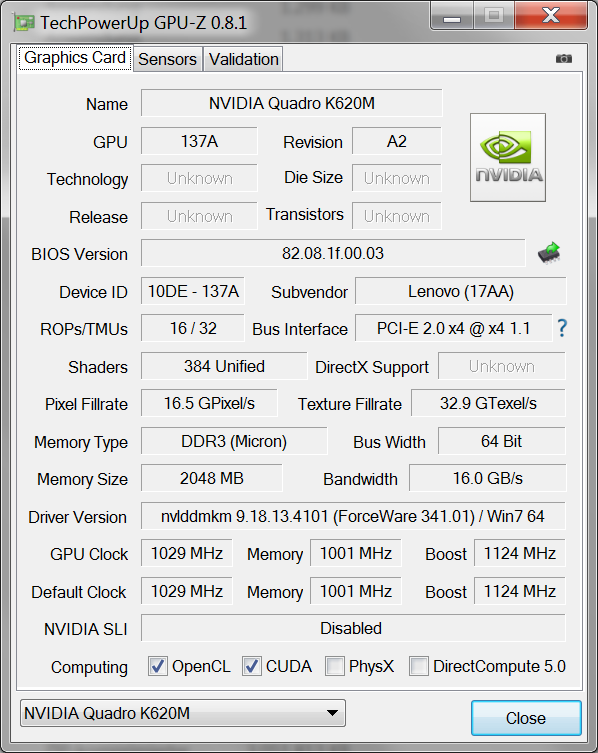 Nvidia's Quadro K1100M is usually clearly beaten. This is good news for the upcoming transition of the more powerful mobile Quadro chips to the Maxwell architecture. The comparison with AMD's inexpensive mainstream rival FirePro M5100 shows that the Nvidia GPU can reduce the deficit in many scenarios. The OpenCL performance with Ray tracing (LuxMark 2.0) in particular takes a big step forwards and can somewhat disenchant the dominance of the FirePros. 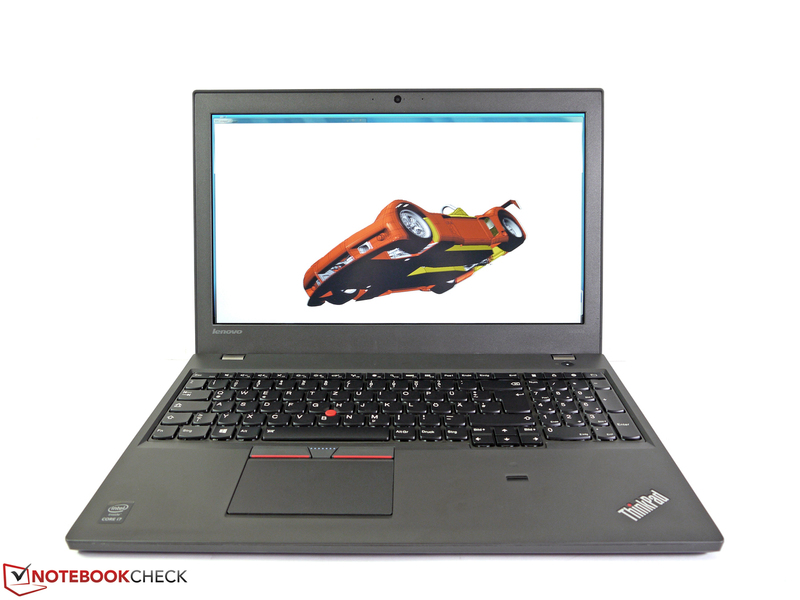 The Nvidia Quadro K620M manages ten times the performance of the Quadro K1100M inside the ThinkPad W540 in the Sala test and at least double the result of the Room test. As well as typical CAD applications, the SPECviewperf benchmarks also evaluate the performance of 3D construction scenarios, including 3D design, 3D visualization and oil and gas exploration. A medical MRT is also part of the test. 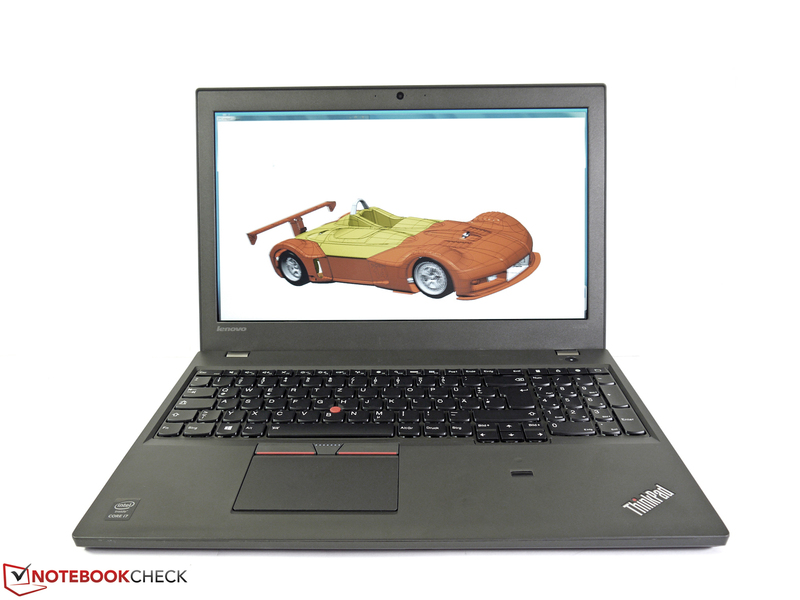 The Quadro K620M leaves a good impression in Catia, Tcvis, Pro/Engineer and Siemens NX in particular, where the performance difference compared to the predecessor is between 20% and 40%. It even has a big advantage over the Nvidia Quadro K2100M in the medical MRT and is only beaten by the AMD FirePro M5100. As always with workstations, you should know what applications you use. 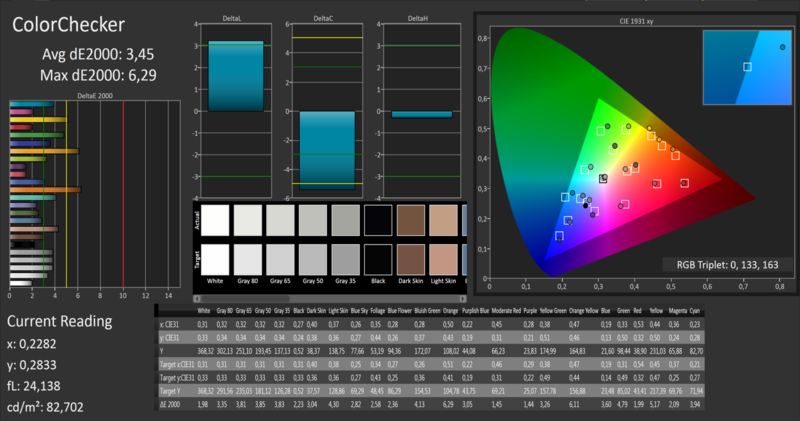 Different software and driver versions can also have a significant impact on the actual frame rates in practice. All the DirectX benchmark results are slightly faster than the Nvidia Geforce 840. 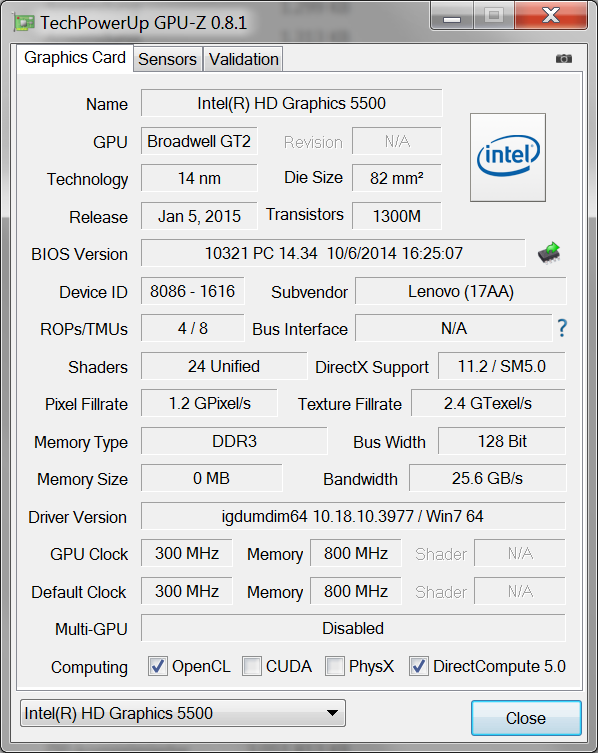 The tests evaluate the raw hardware performance of the Quadro K620M without OpenGL optimizations. 3DMark 11 determines a GPU score of 2434 points and 3DMark Cloud Gate 9092 points. 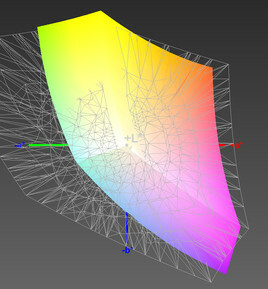 Our review unit manages 21.9 fps in the Unigine Heaven test (DX11). More information is available in our GPU benchmark list. Professional graphics chips are comparatively rare in our editorial office, so we also have a closer look at the gaming performance. Considering that the Nvidia Quadro K620M is still an entry-level solution, you get playable frame rates in almost all games. Only very complex games like “Ryse: Son of Rome”, “Alan Wake” or “Thief” are too demanding. At least low settings should result in smooth frame rates with some tinkering. Almost all tested games ran without problems. Only “Tomb Raider”, which is usually quite stable, refused to work in the Ultra-preset (1920x1080) and resulted in a crash. “Thief” on the other hand had problems with the low XGA resolution (1024x768) and crashed repeatedly during the load. We only managed one benchmark in the game, but the result was quite mediocre. 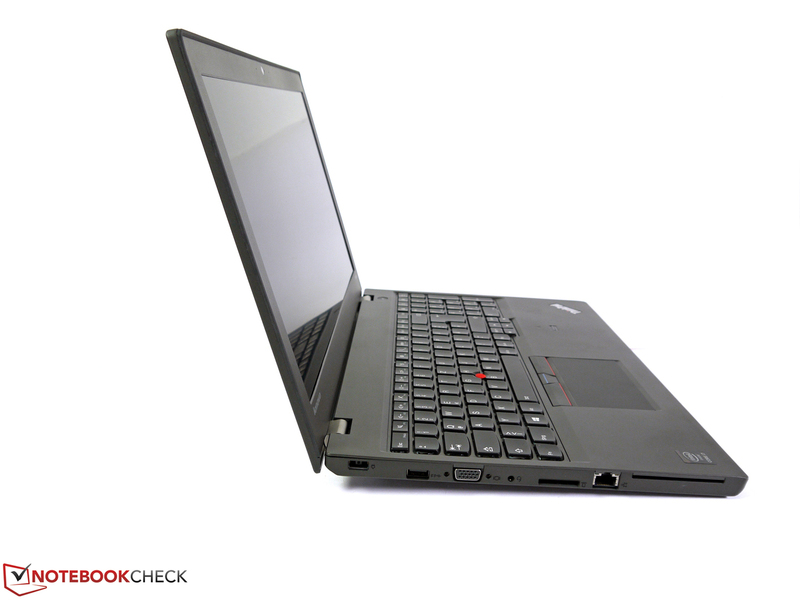 The Lenovo ThinkPad W550s is generally a very quiet mobile workstation. It is often silent with light workloads and the quiet fan is just occasionally activated. The fan is not immediately activated when you stress the device and only starts spinning after 1 to 2 minutes. We were able to measure 30.4 dB(A) with medium workloads, and maximum load usually does not result in more than 31.8 dB(A). The absolute maximum value of 38.1 dB(A) is only audible at the start of the maximum load with the maximum clocks and a "warmed up" system. However, this is not usually the case in practice. We could not hear any high-pitched sounds or pulsating from our review unit. As with the noise development, the chassis temperatures are very restrained. The maximum temperature of 51.2 °C (~124 °F) at the bottom is the result of our stress test for two hours. However, this value is not a problem when you use the device on your desk. The temperatures usually stay around the 40 °C (~104 °F) mark in practice. 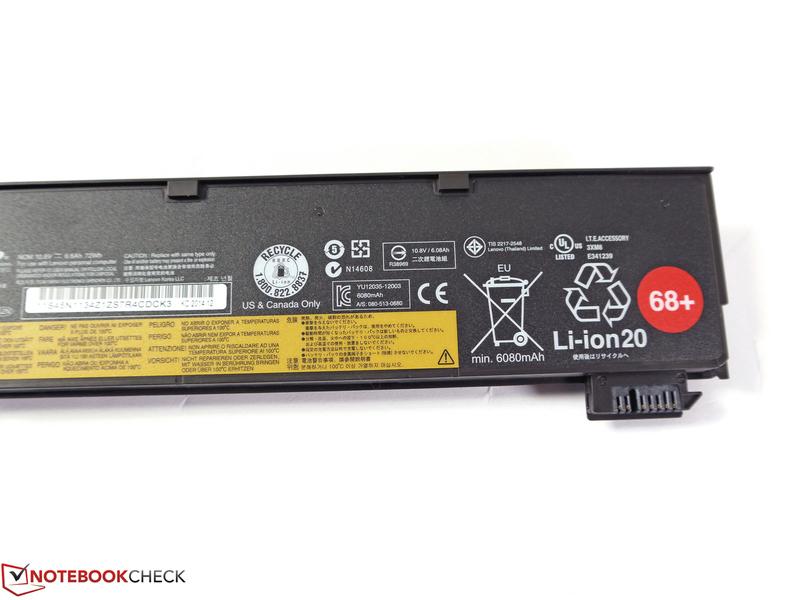 The large 72 Wh battery has a positive effect on the cooling because it results in a very big gap between the notebook and the surface, which enables a good air flow. This area is smaller with the other batteries and the results can be worse. (+) The maximum temperature on the upper side is 36.5 °C / 98 F, compared to the average of 37.1 °C / 99 F, ranging from 23 to 69.8 °C for the class Workstation. 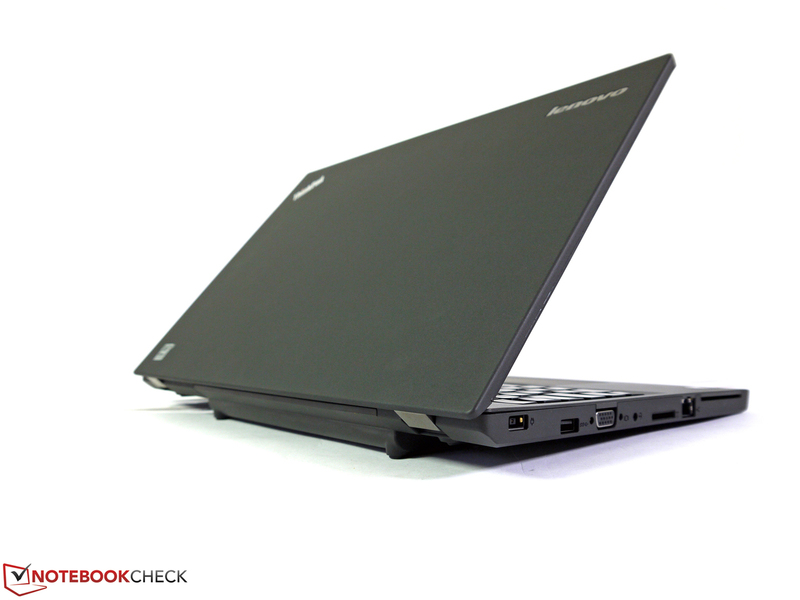 TThe sound output is quite decent for a slimline business notebook. Overall, it is focused on the high tones, limited medium tones and bass, but you get an undistorted sound and a rather high maximum volume. The performance is actually sufficient for presentations in a small group. If you want more, you should use Bluetooth speakers. You can only use one combined 3.5 mm stereo jack for headphones and microphone, which means two separate devices can only be used in combination with an adaptor. The minimum idle consumption with a deactivated display is just 1.6 watts, and we can still only measure 4 watts with the activated panel (Intel HD Graphics 5500), which is pretty impressive. With the maximum luminance, the dedicated Nvidia GPU and activated wireless modules we can measure 10.8 watts with the high-performance power plan. The maximum consumption of 54.5 watts is limited to a short period before the processor throttles its clock to around 1.9 GHz under maximum load. The result is usually around 48.9 watts. The power adaptor is specified with a nominal output of 65 watts, so there is still some headroom in the worst-case scenario. 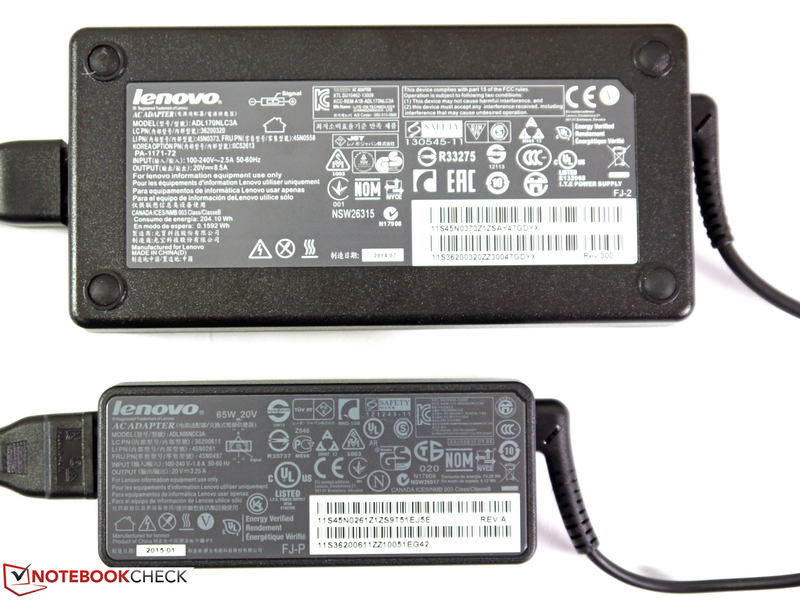 Lenovo now also uses its Power Bridge system for the W-series and combines an internal 44 Wh battery with three different "external" batteries. They do not only differ in terms of their capacity (23 Wh, 48 Wh or 72 Wh) but also in terms of size and weight. 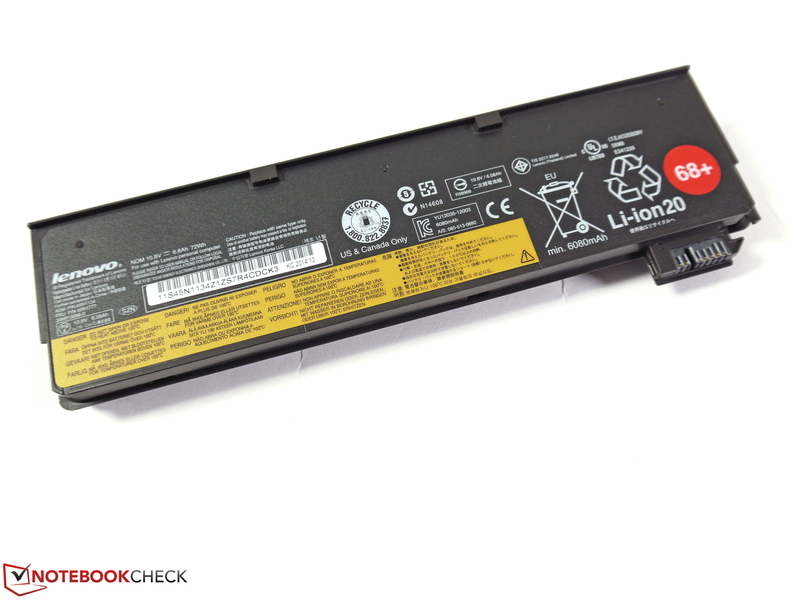 The major advantage of this 2-battery combination is that you can replace the secondary battery in operation, without shutting down the system. Our review unit is equipped with the 72 Wh model, which results in a total capacity of 116 Wh in combination with the 44 Wh internal battery. You get correspondingly good battery runtimes. 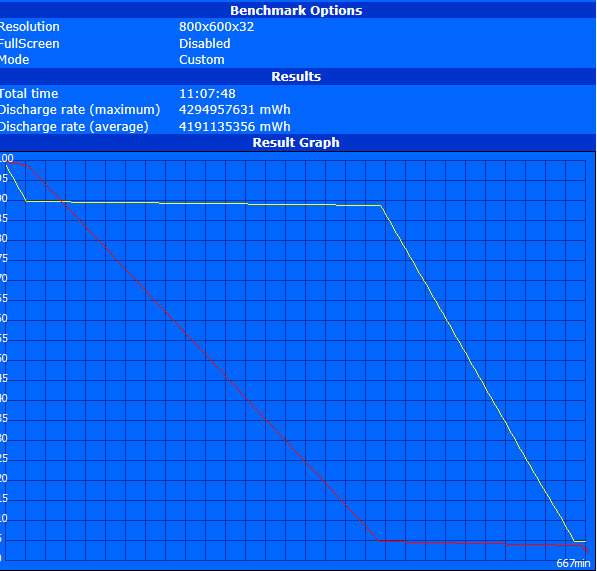 The Battery Eater Readers Test (energy-saving profile, display brightness at 4 cd/m², wireless off) determines almost 29 hours for the ThinkPad, which is nice for the statistics, but it does not represent a practical scenario at all. More important are our video and WLAN tests (display brightness at 156 cd/m², Intel GPU). They are impressive with practical runtimes of 11 hours and almost 12 hours, which means a normal 8-hour business day can also include load periods, a higher luminance or a presentation without a socket nearby. The clock reduction under maximum load has a positive effect on the runtime and we can determine more than 4 hours with the highest brightness, activated wireless modules and the high-performance power profile. 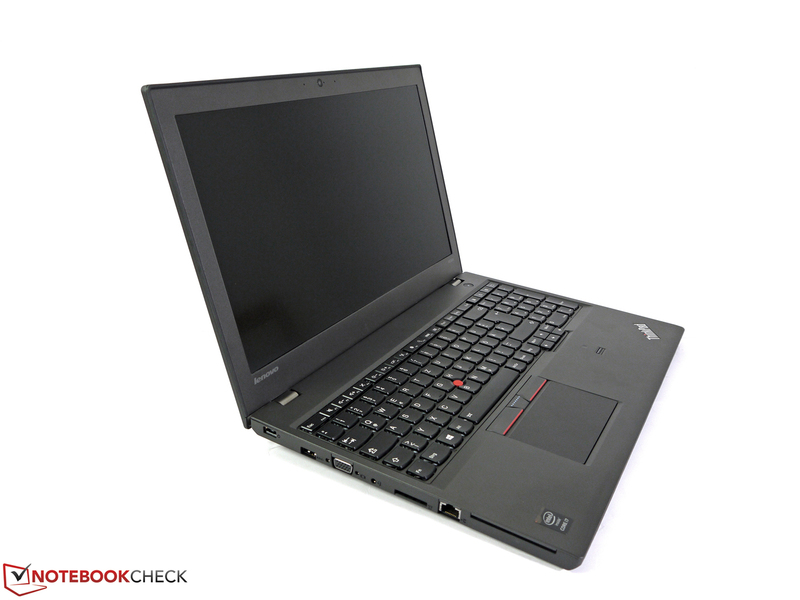 Lenovo's ThinkPad W550s is a successful addition to the group of slimline workstations and can even set several new records. System noise, temperature development and battery runtimes are on a reference level and impress right away. Other advantages for the professional target group are that you do not have to waive familiar business ports, a replaceable battery or good maintainability, despite the thin chassis. However, Lenovo has not managed to realize this very mobile workstation without some compromises. The performance of the ULV CPU can hardly keep up with quad-core processors that are usually used for this product class. There is also an additional clock reduction depending on the load and operating mode, which results in further performance reductions. This drawback can only be partly compensated by the efficient Nvidia Quadro K620M. It provides a good performance for professional scenarios and has a clear advantage over the predecessor. 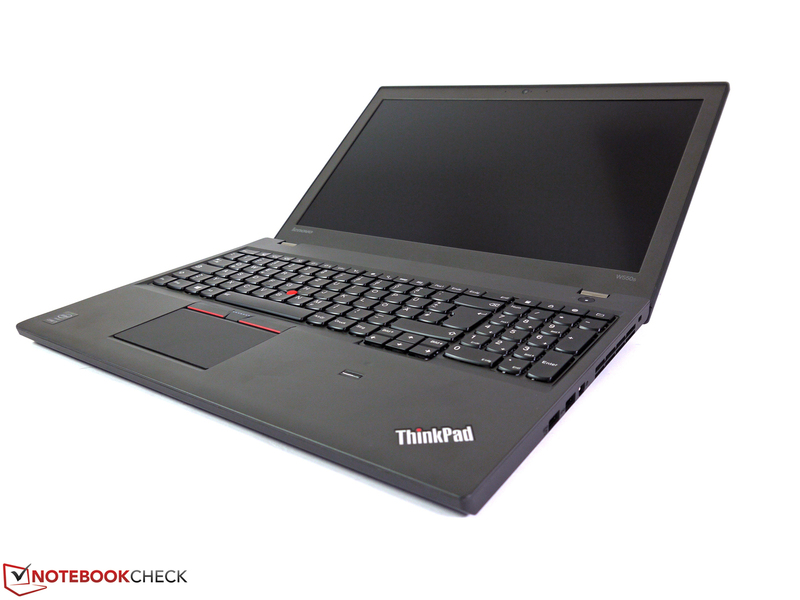 Otherwise, the ThinkPad W550s is equipped with a very good keyboard, a sturdy case, the great 3K IPS display as well as a long warranty period of 36 months. All things considered, the review unit is more of an ideal companion with good CAD performance and less designed for maximum performance. 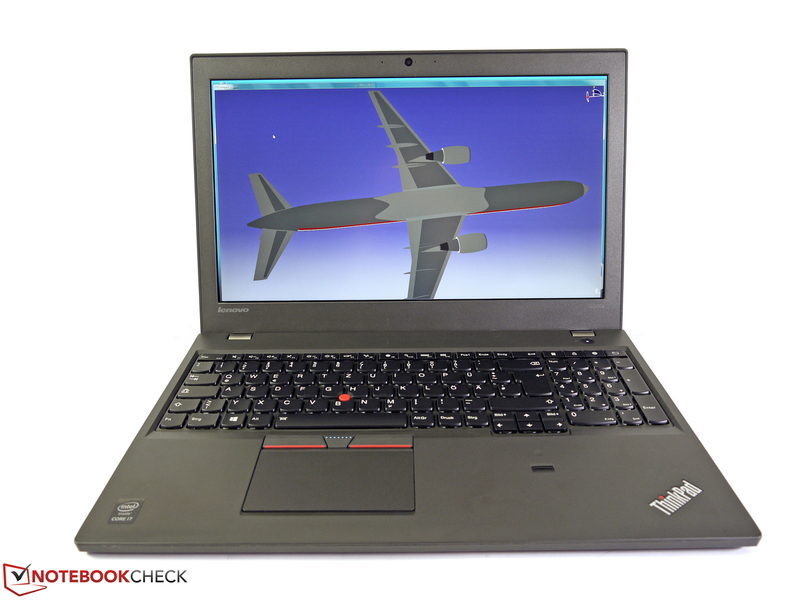 Lenovo ThinkPad W550s, test model courtesy of Notebooksandmore. , PC3-12800, 2x 8 GB, up to 32 GB with 16 GB modules. ...as a very thin and mobile alternative. You still get typical business features and a good CAD performance. ...despite the much slimmer construction. ...which is a result of the ULV processors. 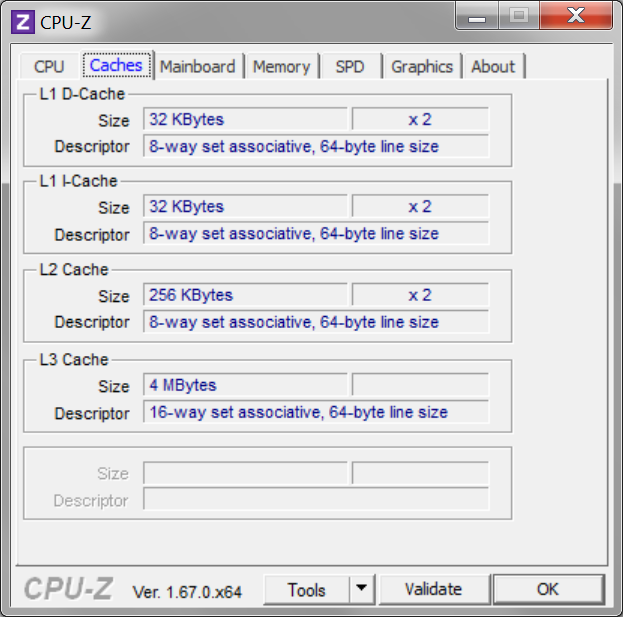 CPU-demanding tasks in particular will result in significant performance reductions. The complete opposite is the current Nvidia Quadro K620M. The change to the Maxwell generation improved the performance significantly. 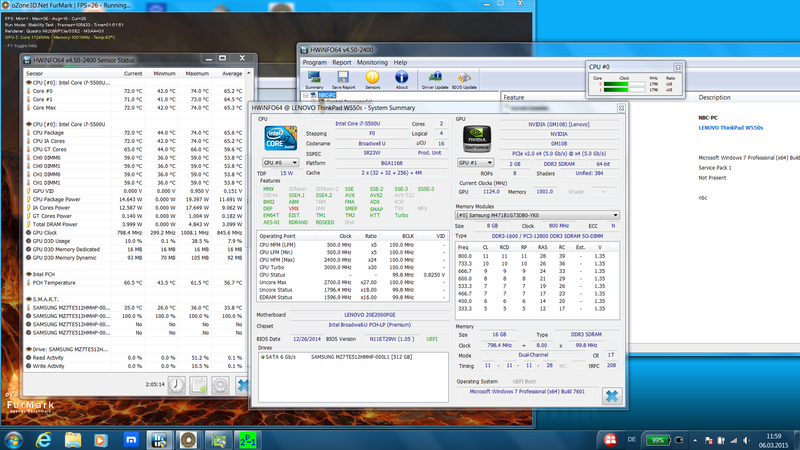 It is even powerful enough to beat the Nvidia Quadro K2100M in some scenarios. 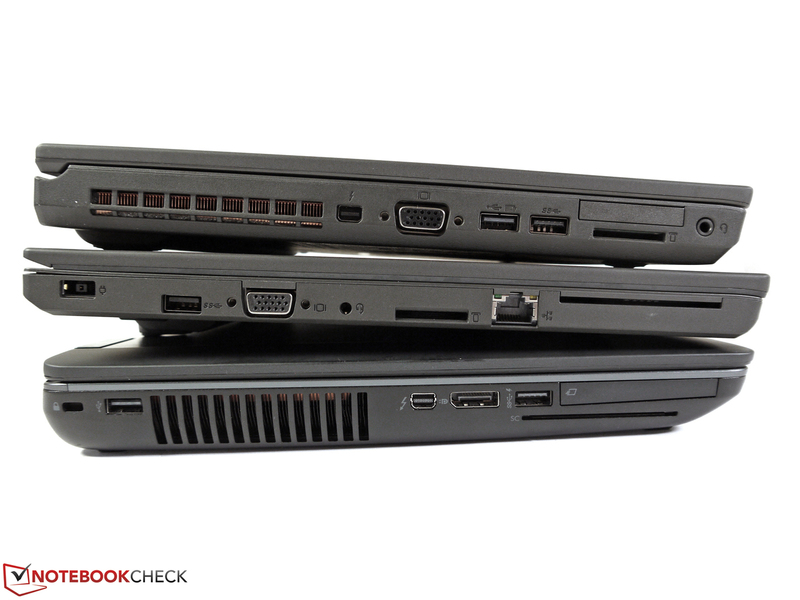 Three workstations in comparison: ThinkPad W541, ThinkPad W550s, HP ZBook 15 G2. The chassis difference is really visible without the 72 Wh battery. 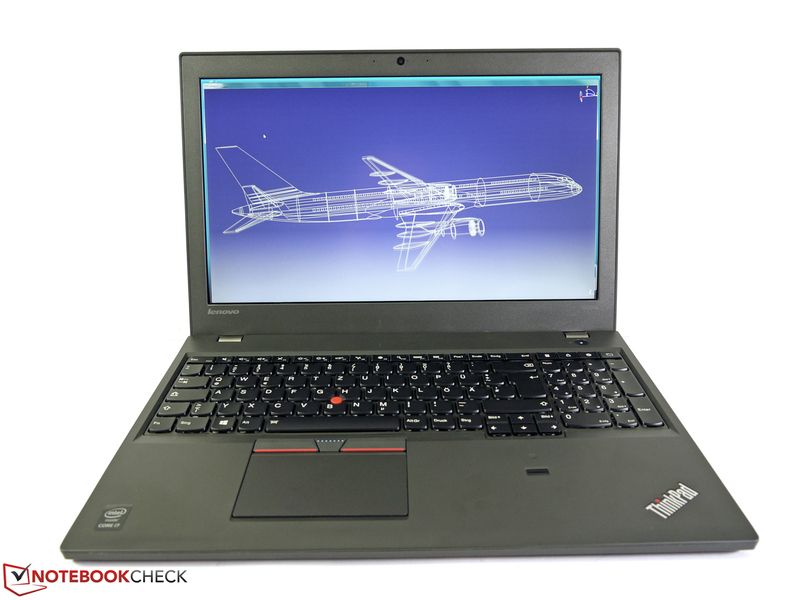 ...but also sturdier than the ThinkPad W541 at the same time. We can unfortunately once again find some smaller build quality issues. The keyboard is still very good and suitable for frequent writers. 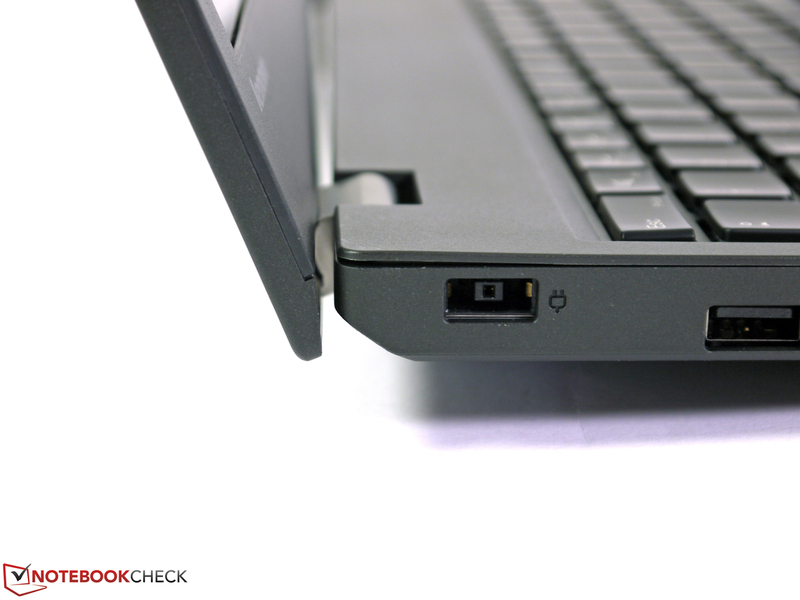 The Ethernet port is located very far at the front, which could result in collisions with attached cables. The display hinges do an excellent job and enable a wide opening angle. 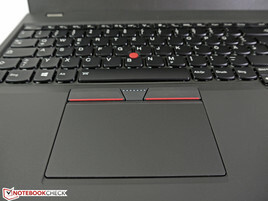 The size of the touchpad was reduced to integrate TrackPoint buttons once again. The numeric keypads improves the inputs of long number rows. The power button is the only button outside the keyboard area. 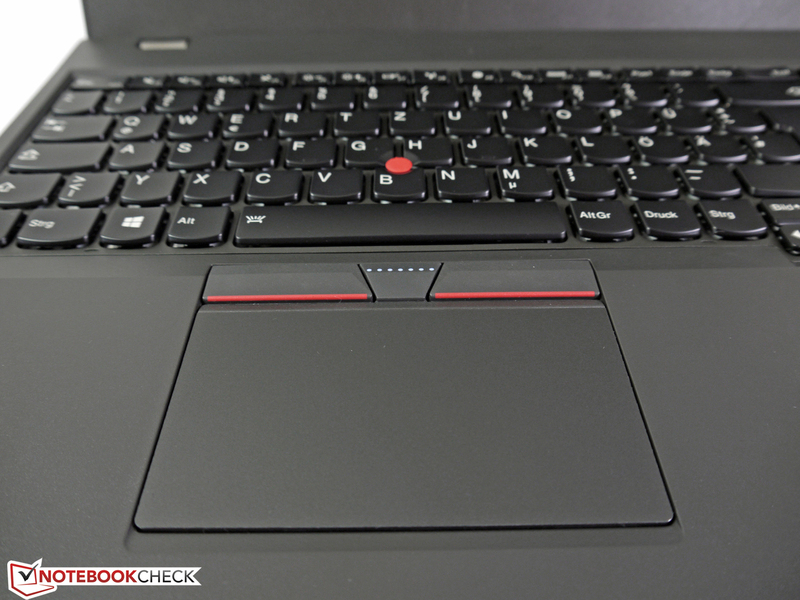 TrackPoint users will be happy about the returned buttons, but touchpad users will not benefit from the change. Webcam and dual-array microphones enable passable video call capabilities. The external battery complements the integrated 44 Wh battery. As usual, you can find the SIM slot for the optional WWAN card in the battery tray. The speakers have a good maximum volume, but the sound is focused on the high tones. 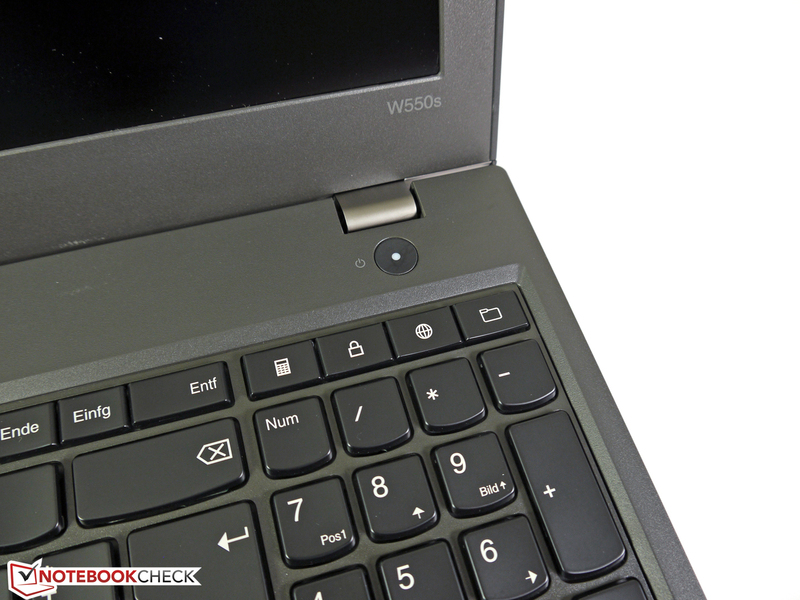 The W550s is stable even without the battery at the back. Underneath the large bottom cover are all components. Antennas for a WWAN module are already integrated. Both memory slots are equipped with 8 GB modules. M.2 SSDs can be integrated by the user. 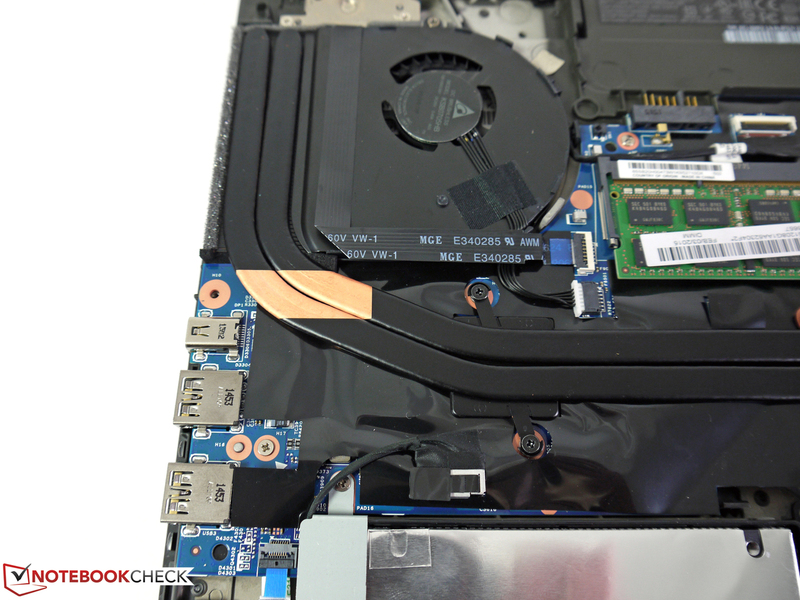 The cooling system does a good job and can be easily accessed. The power adaptor is compact and light, but only has a nominal power output of 65 Watts. 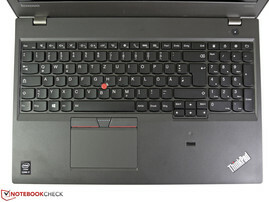 Lenovo consequently designed the ThinkPad W550s for mobility. 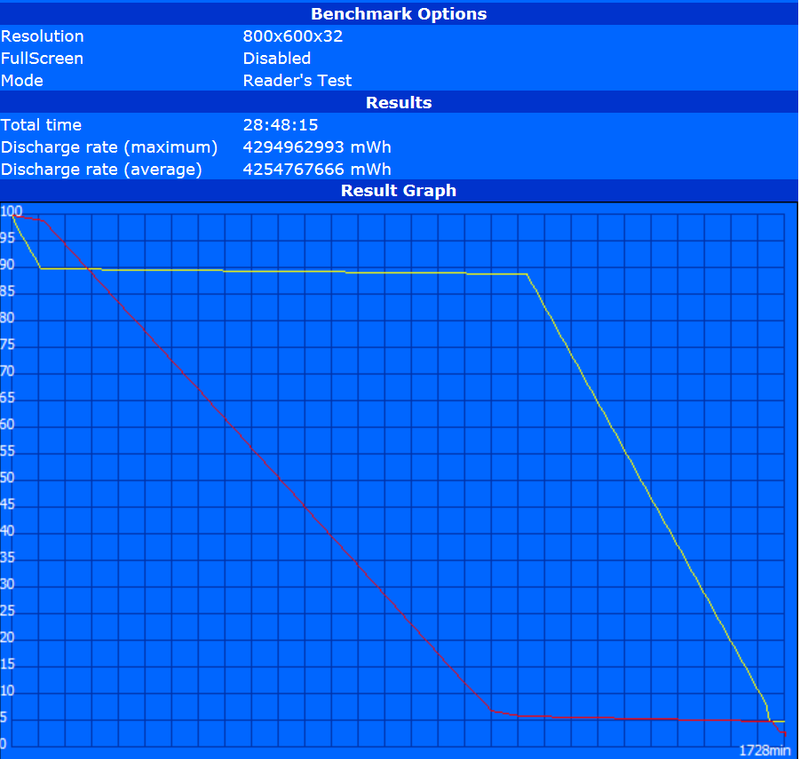 This also improves the weight, the battery runtime, the emissions as well as a certain "companion" factor. 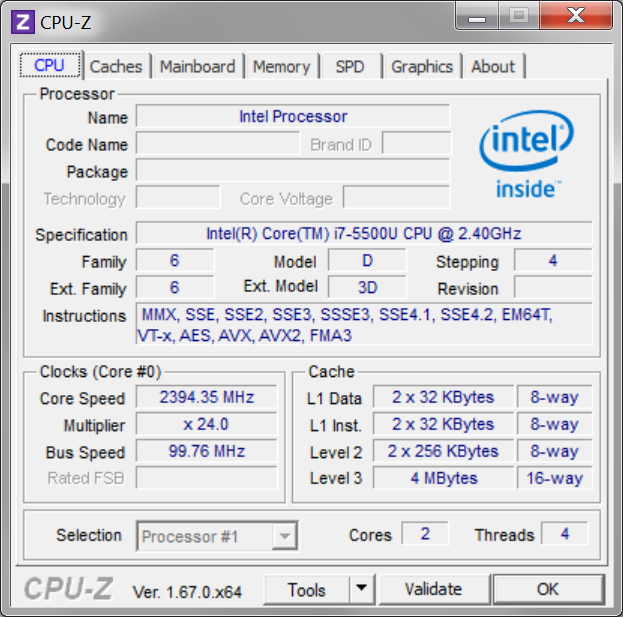 More powerful processors that satisfy the needs of mobile workstations. 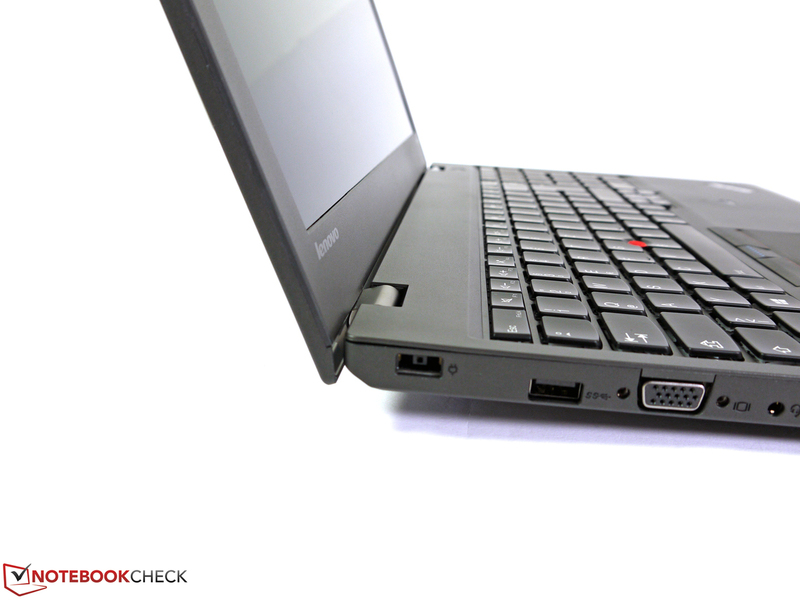 That the thin slimline chassis of the Lenovo ThinkPad W550s is sturdier than the bigger siblings W540 and W541 in important areas.